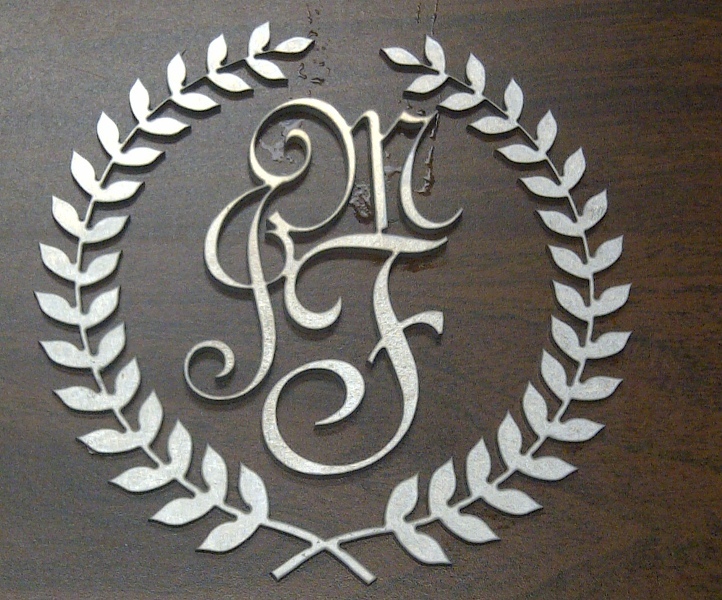 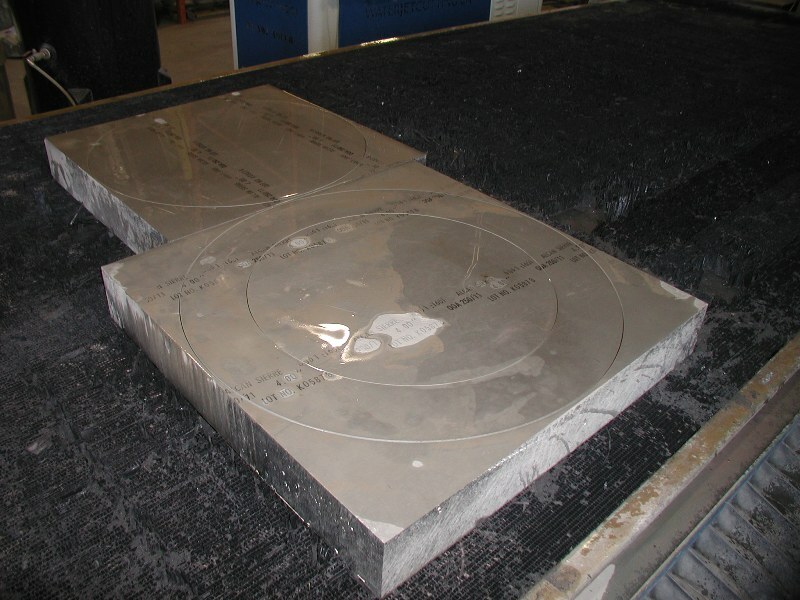 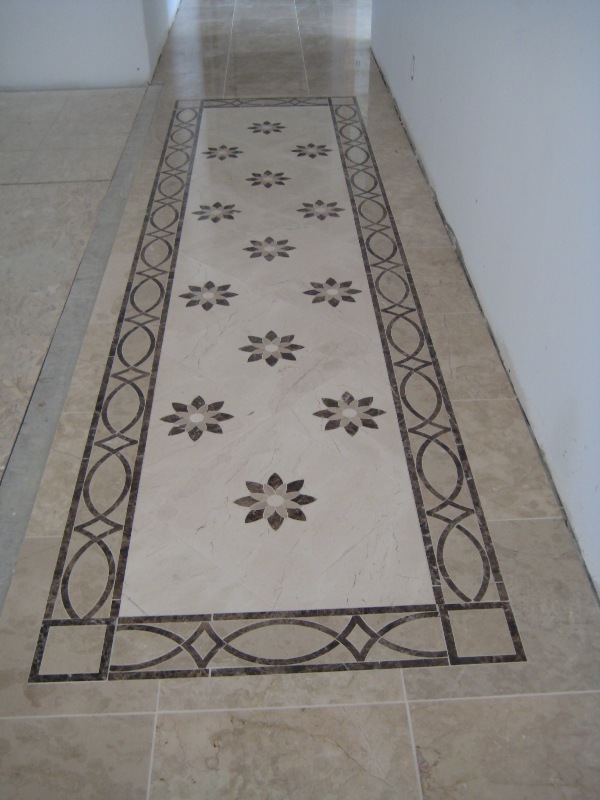 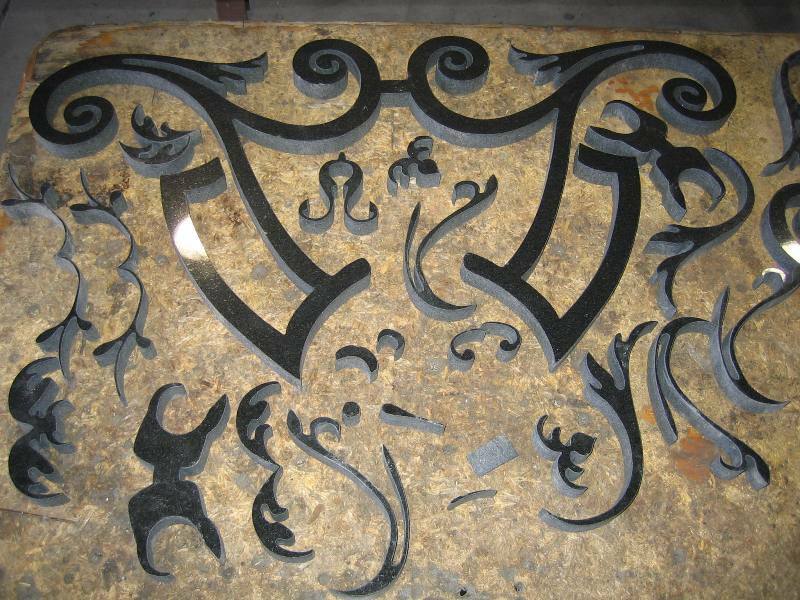 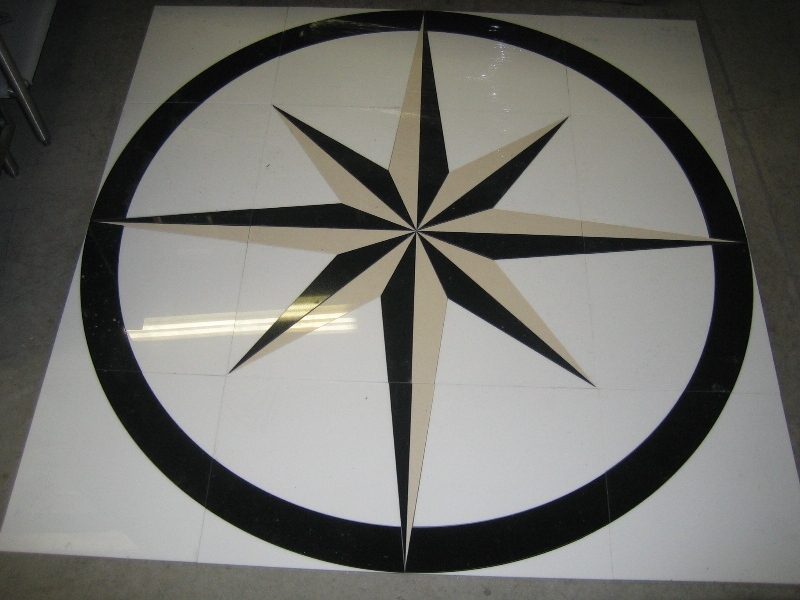 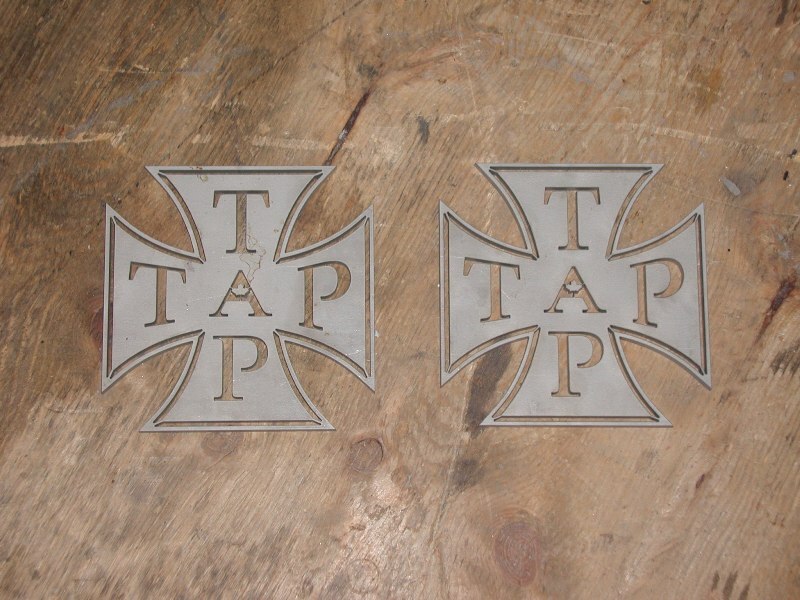 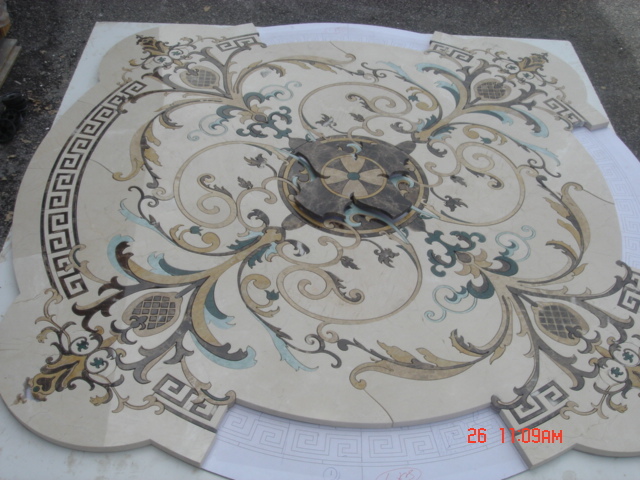 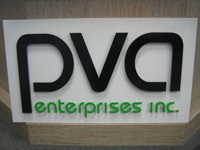 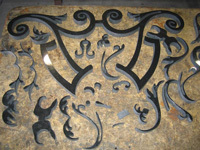 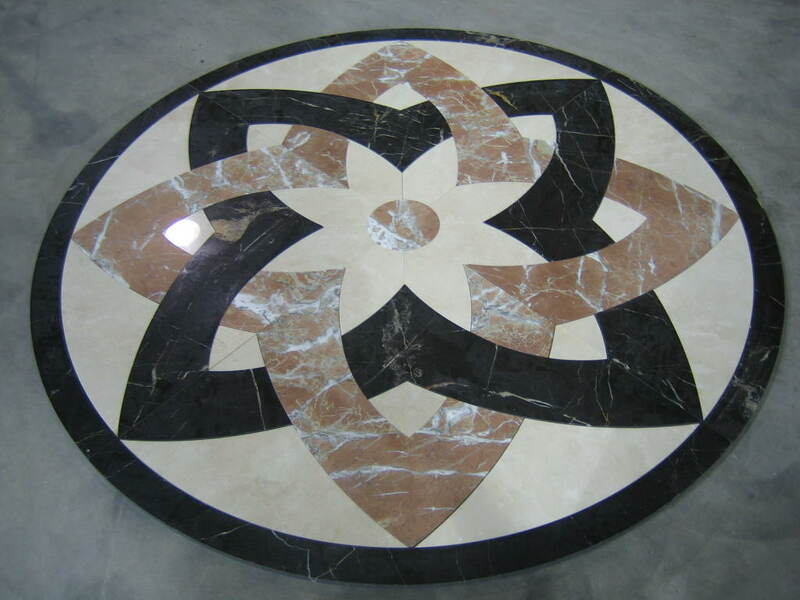 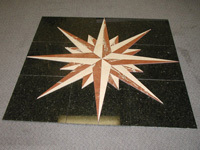 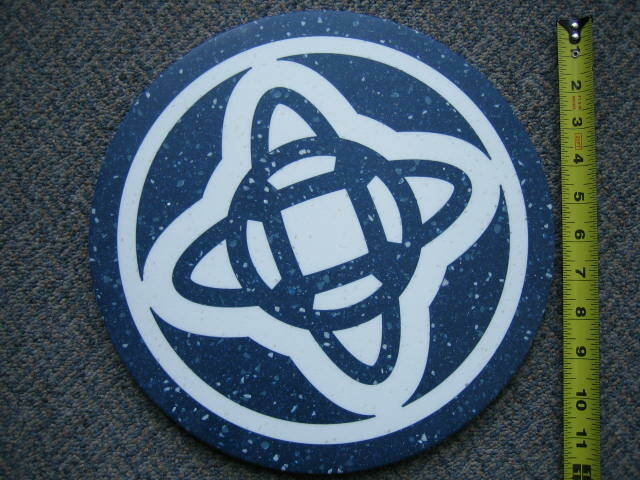 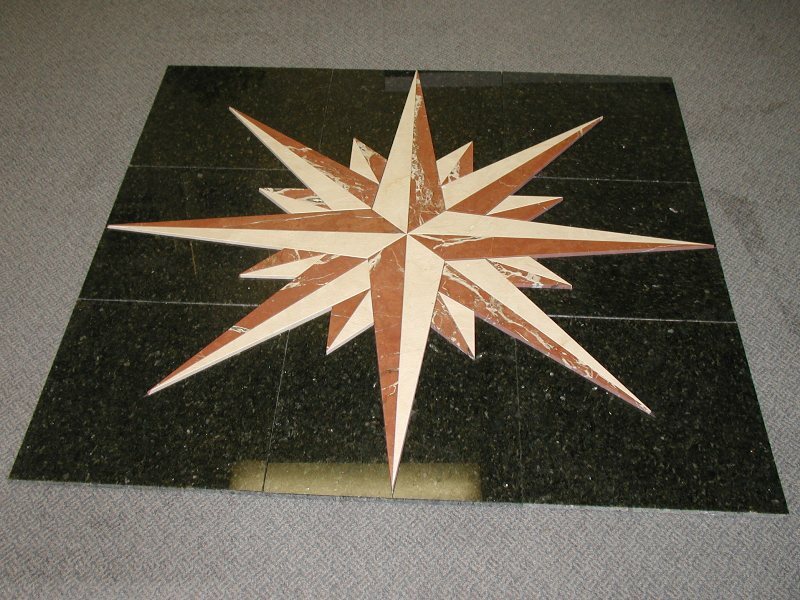 PVA has been the primary source for clients seeking waterjet cutting for over 10 years due to its superior machinery, quick turn-around, and client service. PVA began its jobshop waterjet cutting service in 2003, and is able to successfully fill long-run production orders and short-run/rush orders. 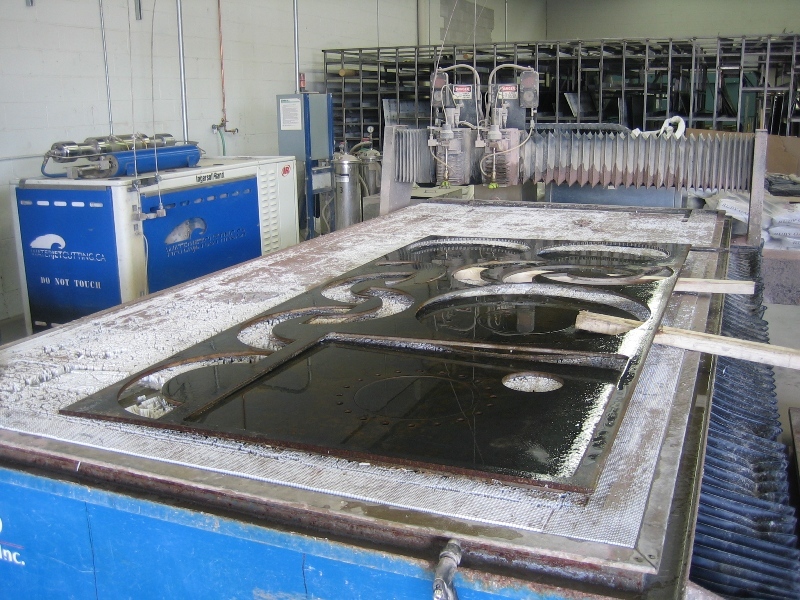 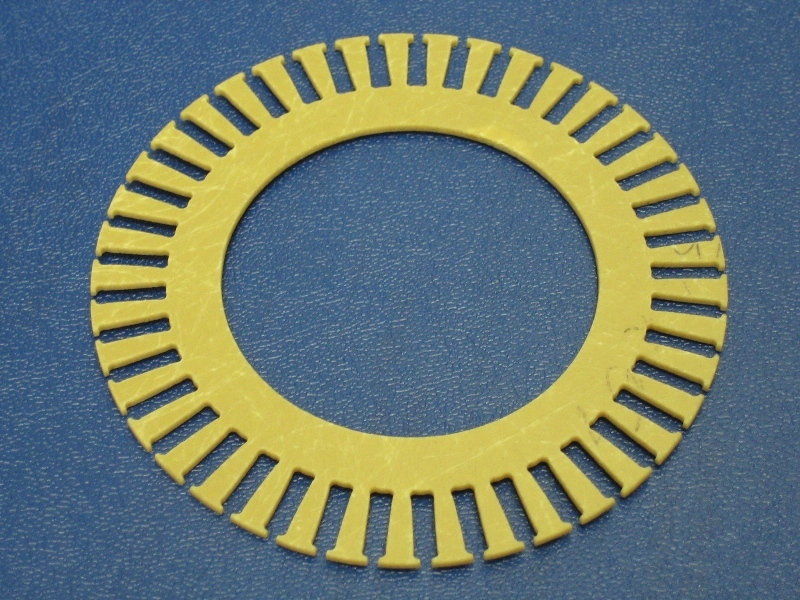 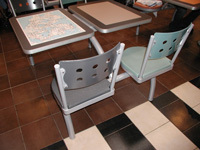 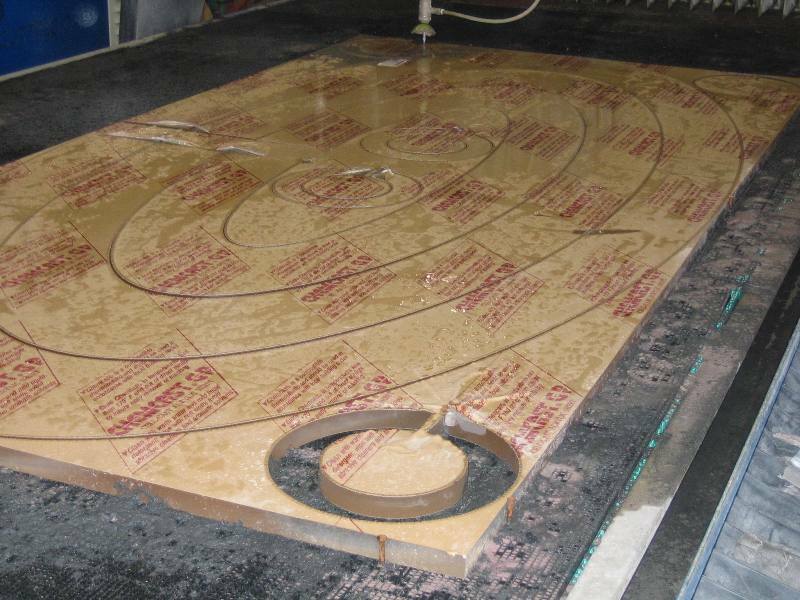 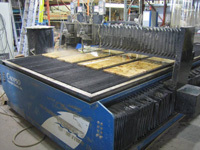 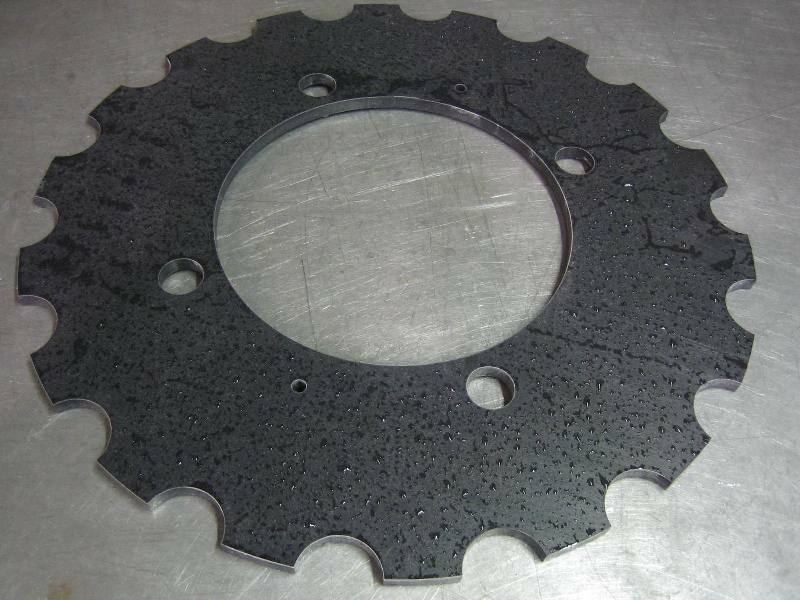 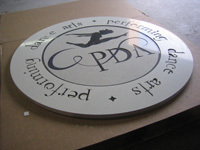 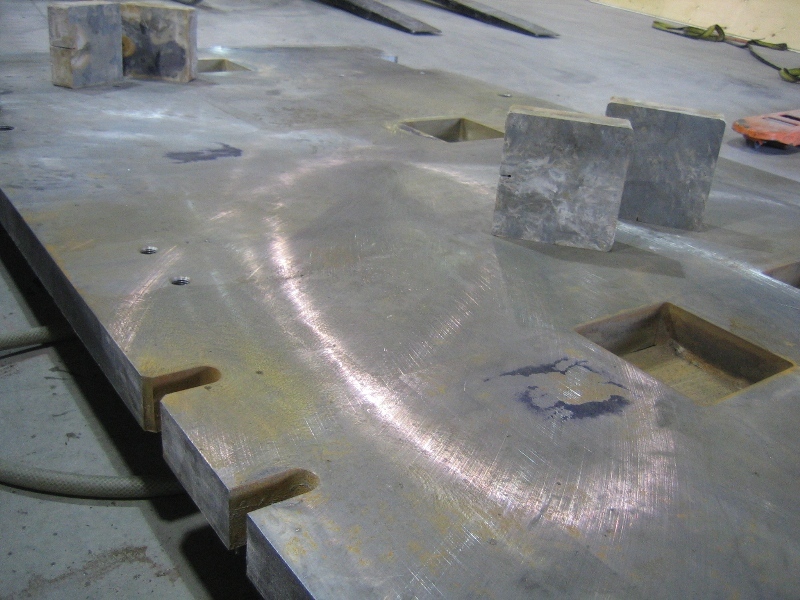 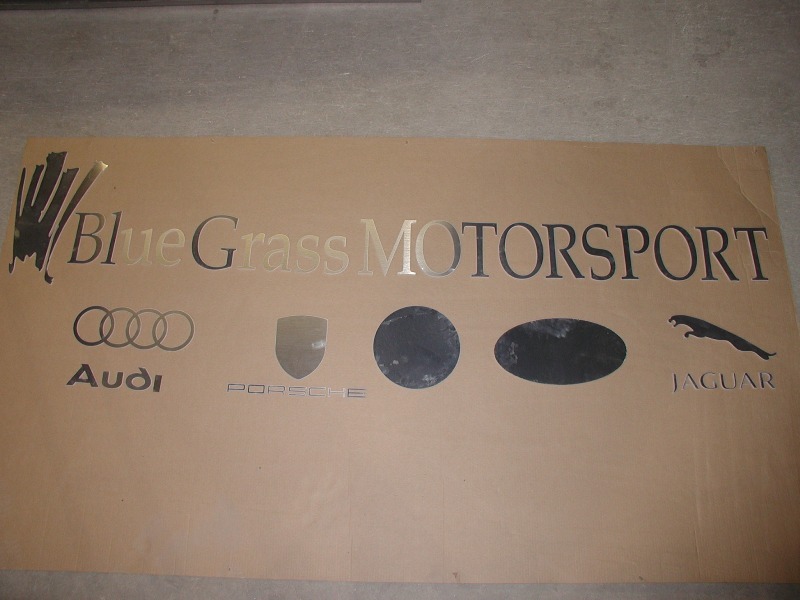 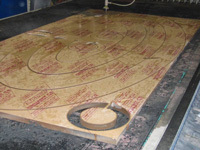 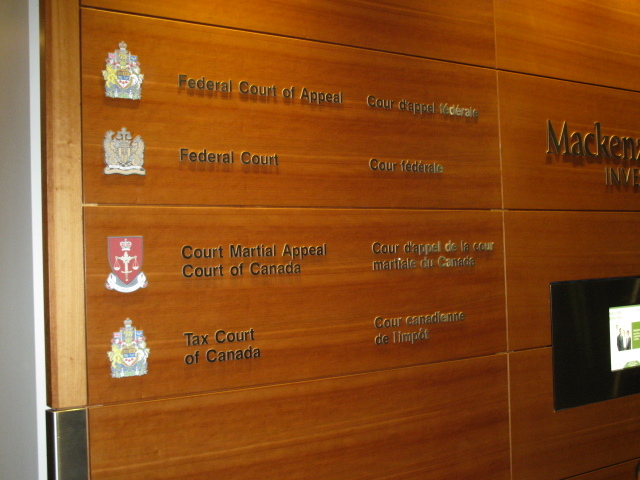 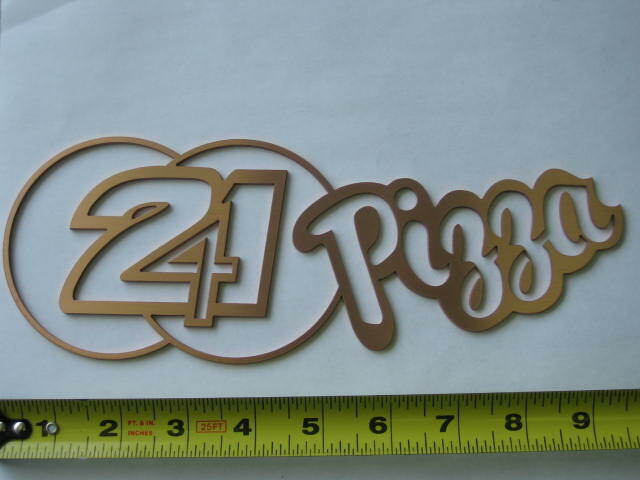 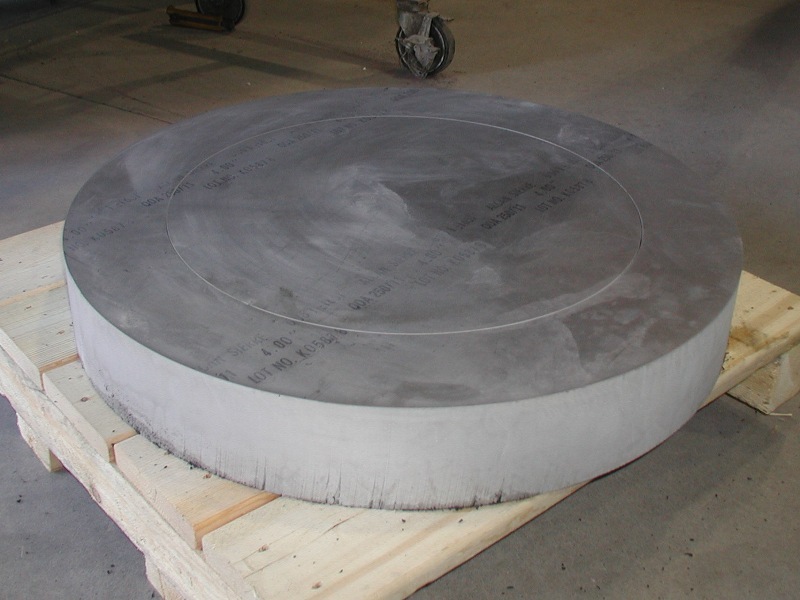 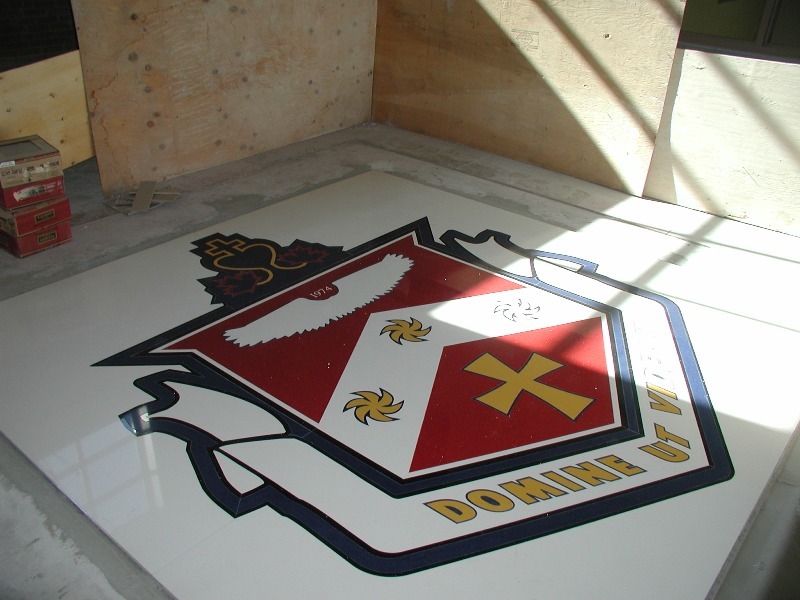 From small and delicate to large and rugged materials, PVA performs waterjet cutting of materials for clients of numerous industries (listed below). 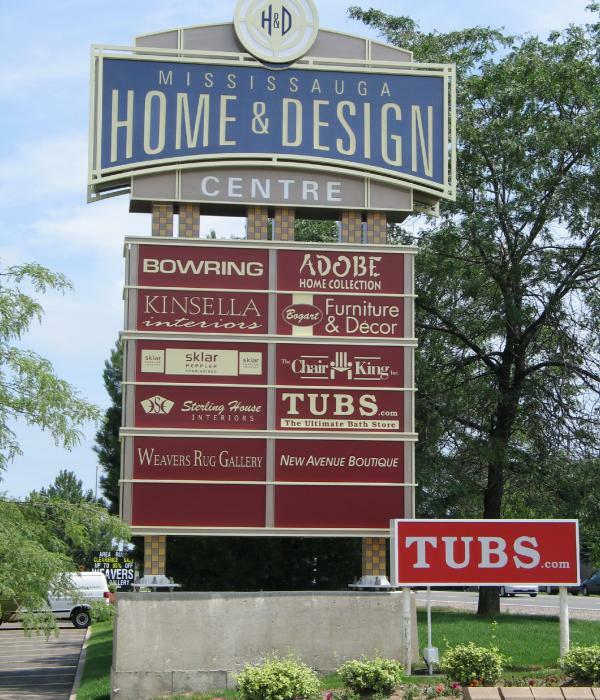 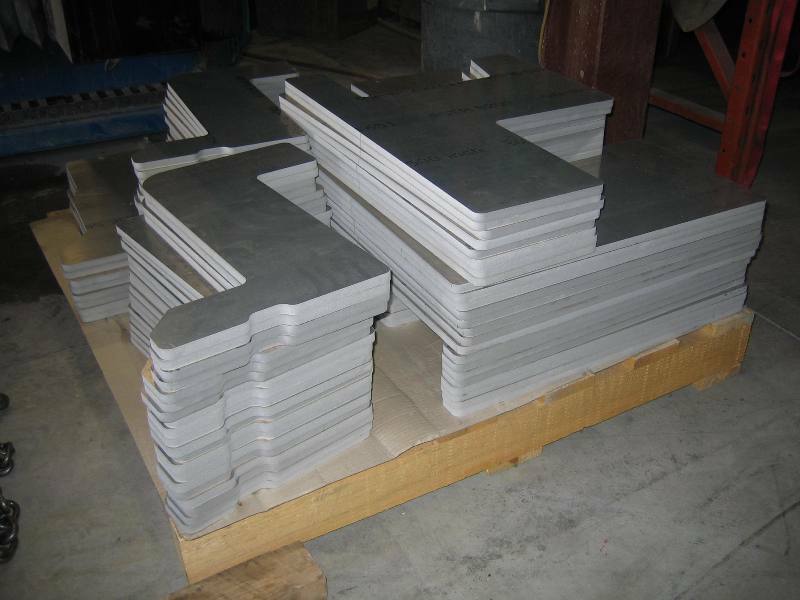 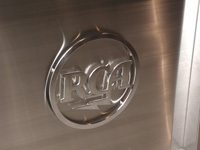 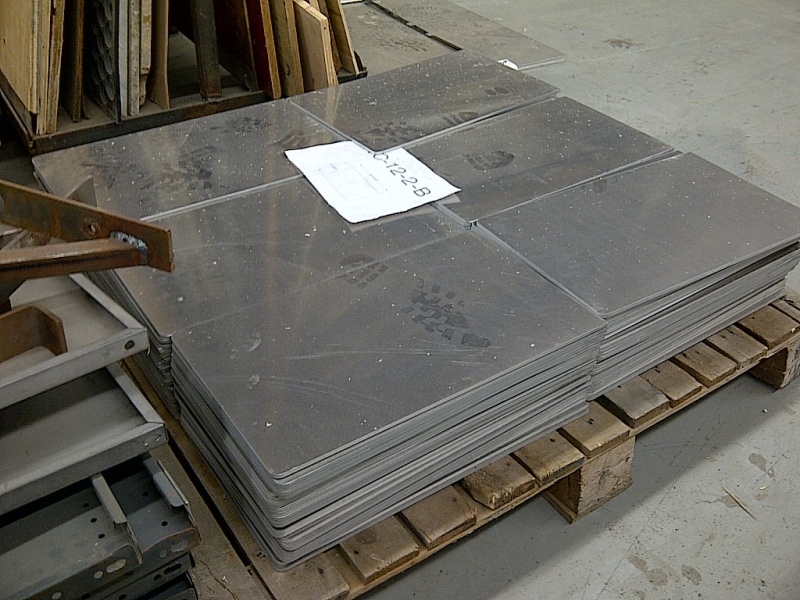 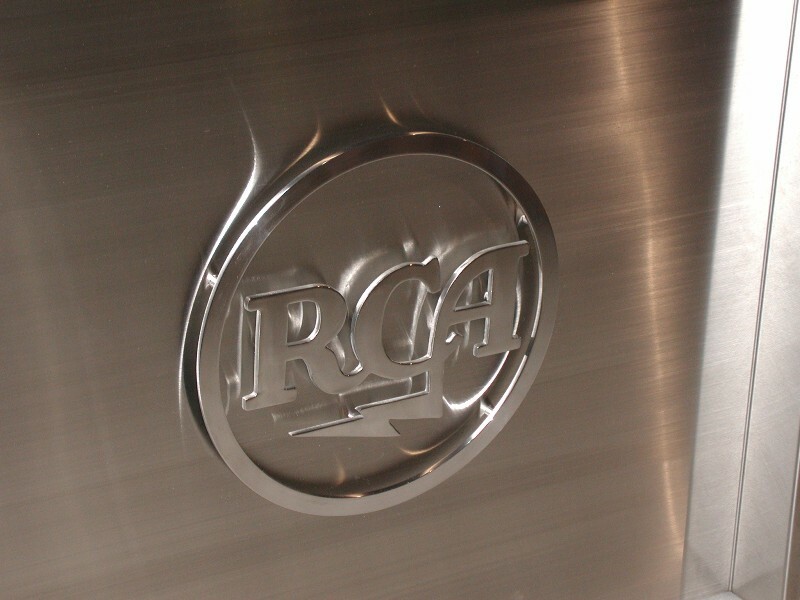 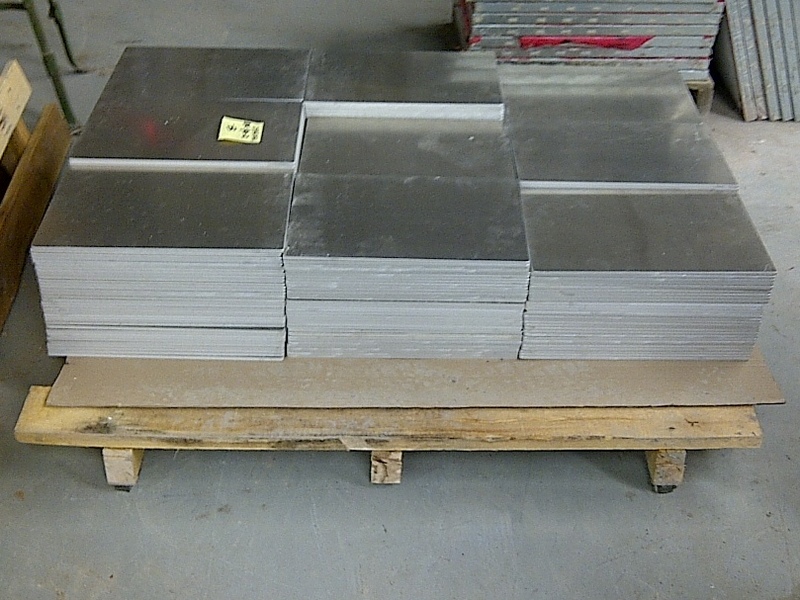 We stock many types and sizes of stainless steel, aluminum, and mild steel. 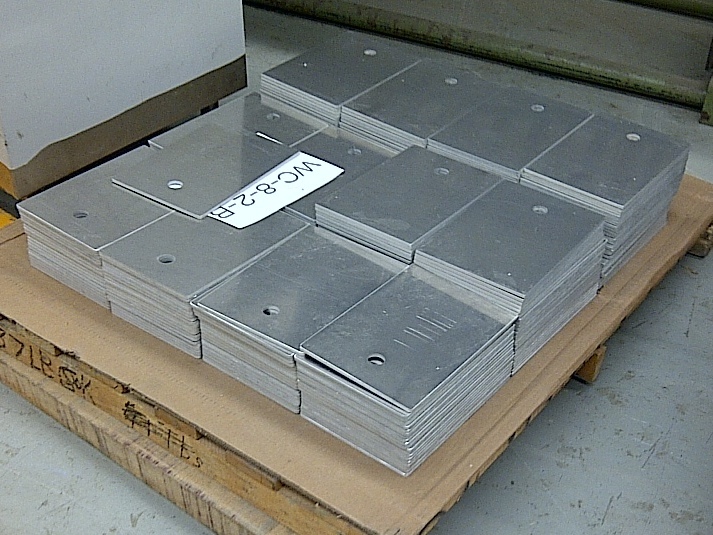 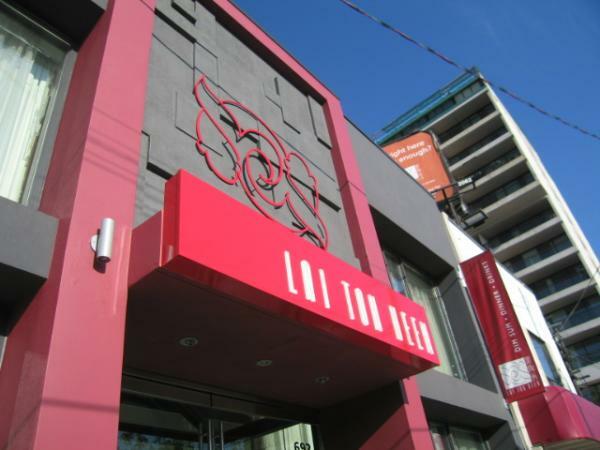 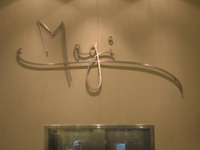 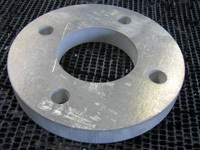 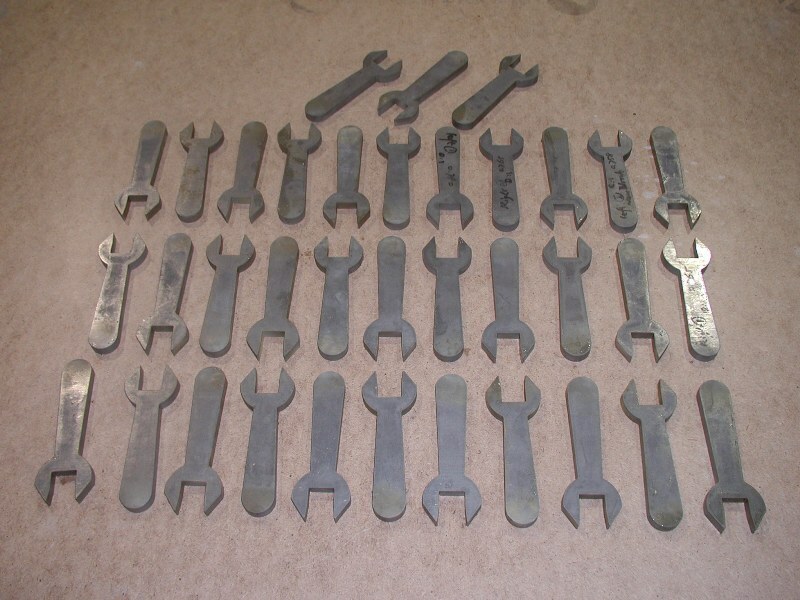 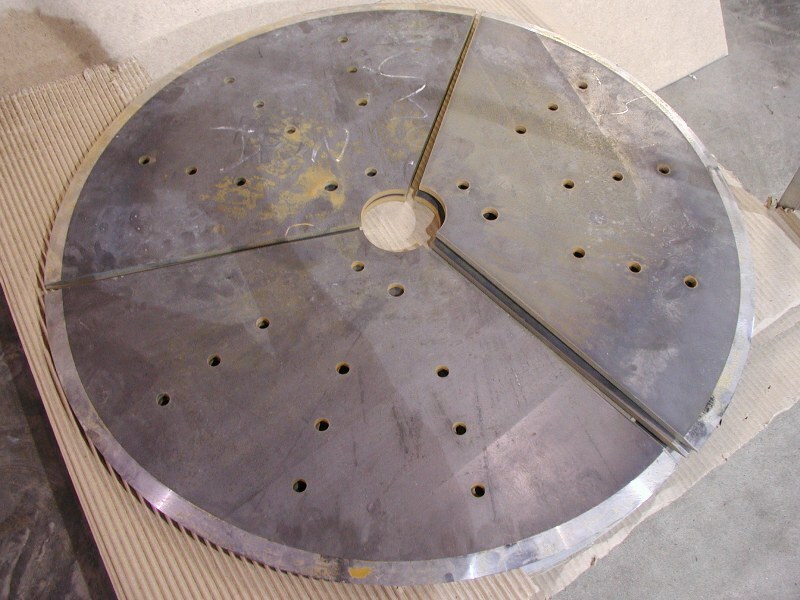 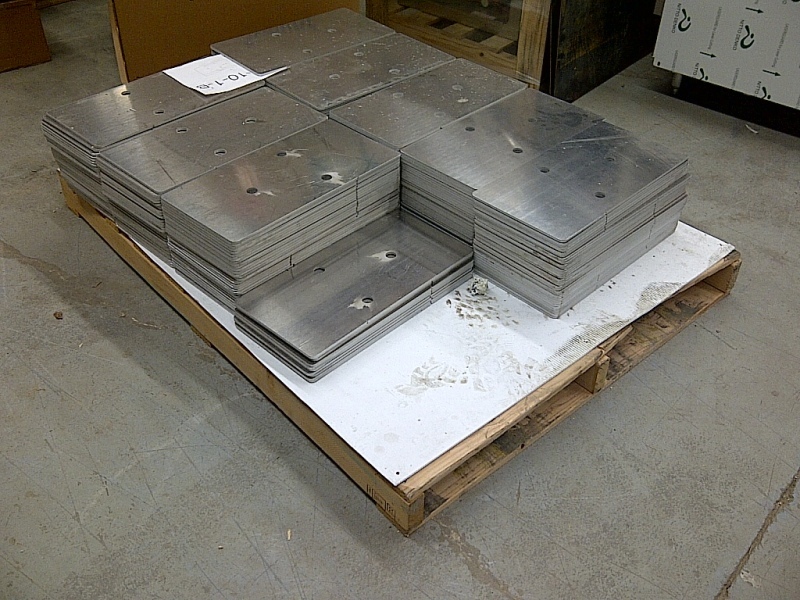 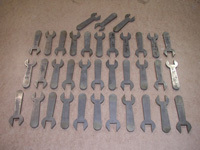 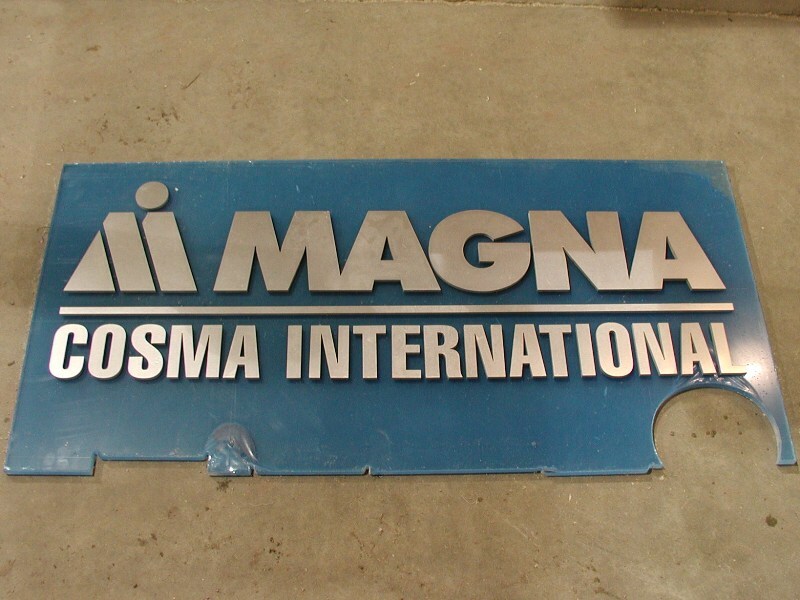 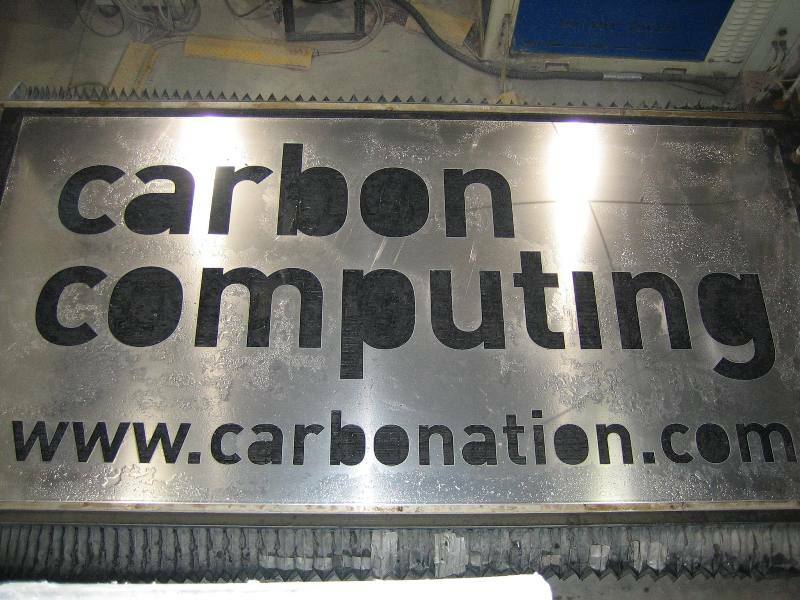 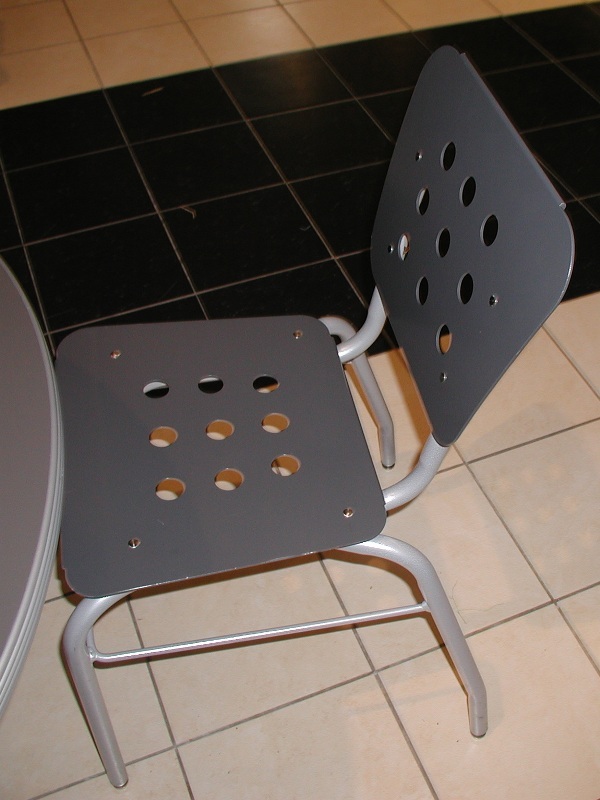 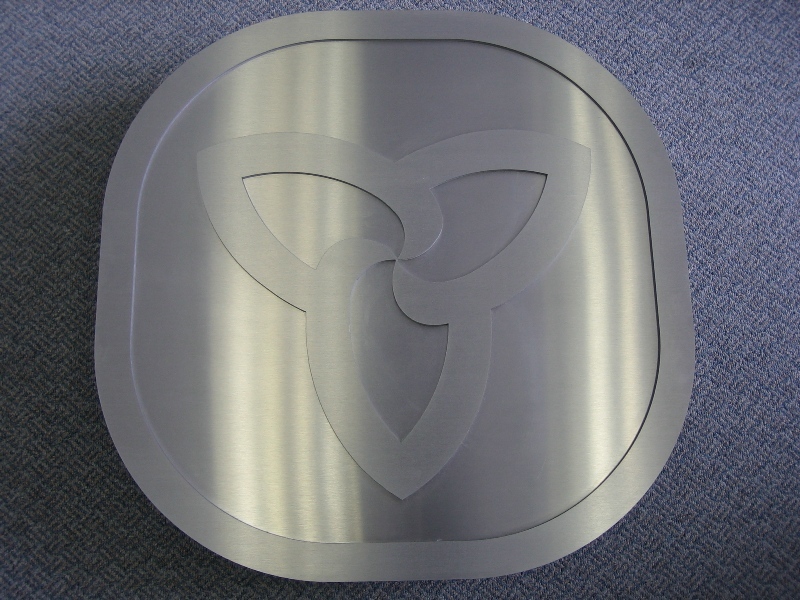 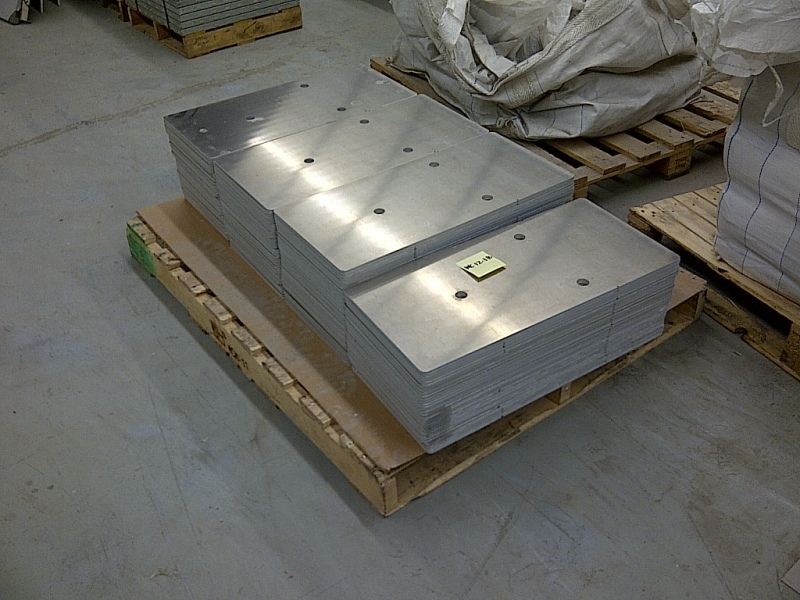 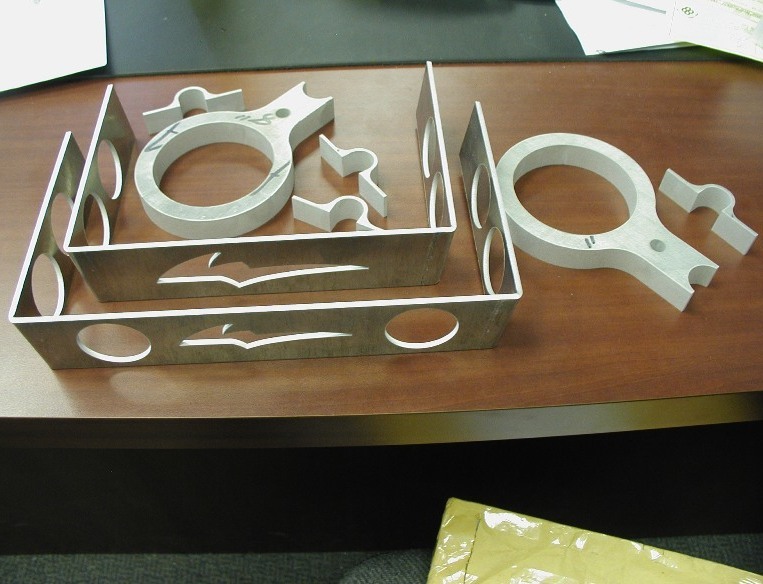 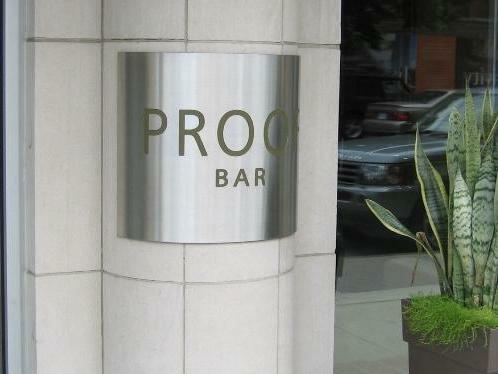 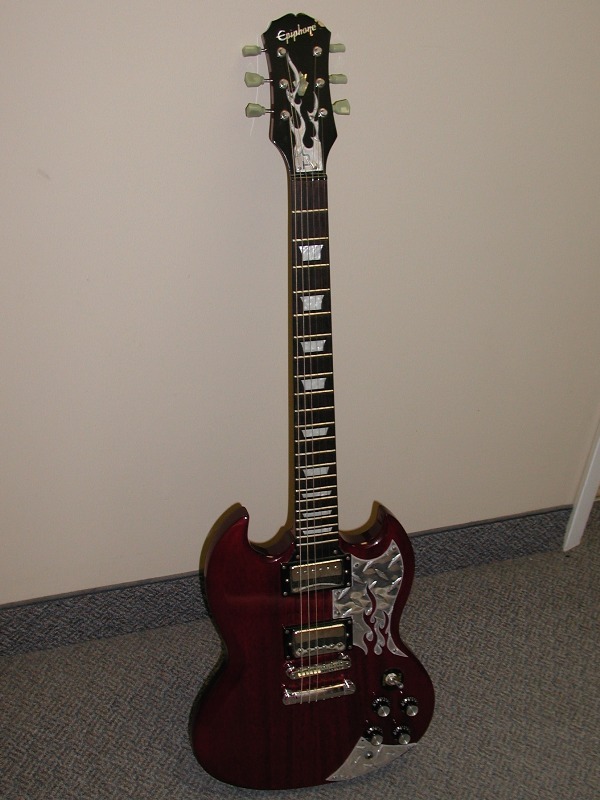 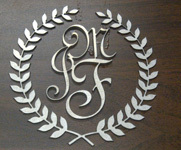 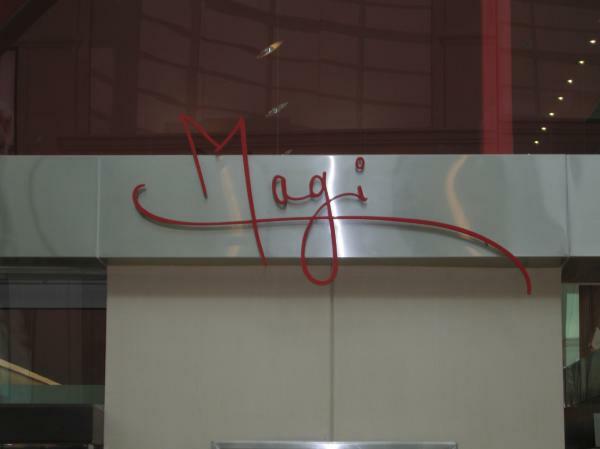 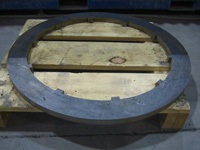 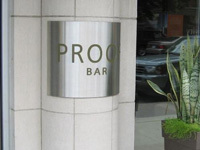 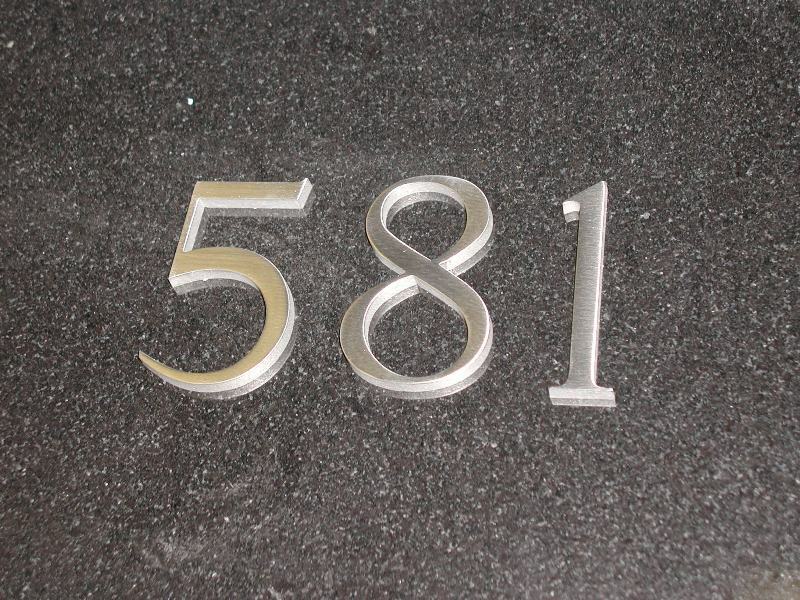 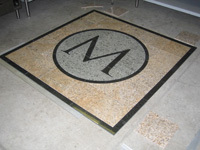 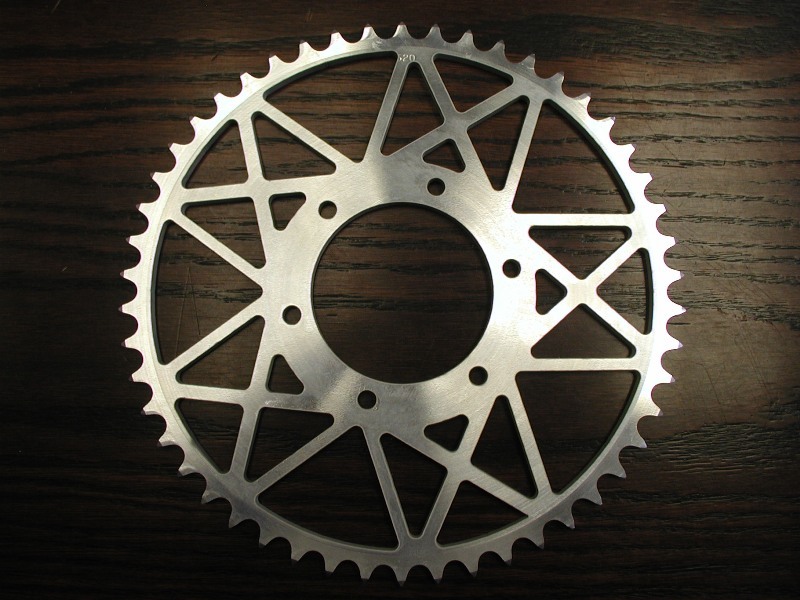 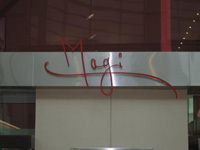 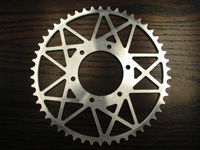 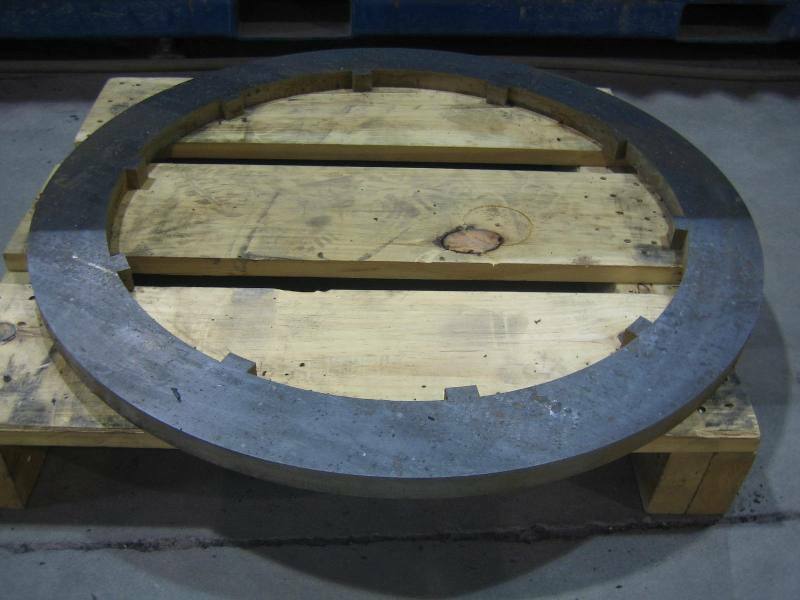 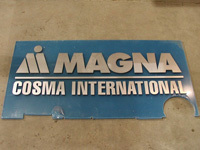 We also perform metal fabrication services and manage secondary finishing and machining processes to fill your order. Ideal for multiple-quantity orders, because it can cut two parts at once. 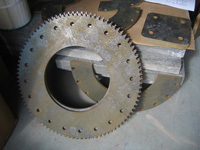 This doubles output, while reducing the second part’s cost by about 70%. 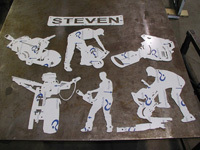 It also shortens elapsed job time, so your quantity order can be completed in half the time. 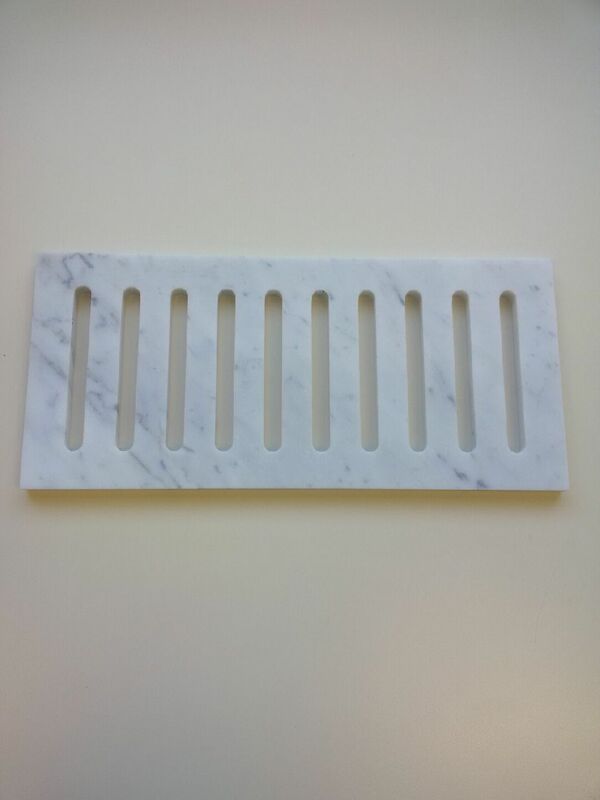 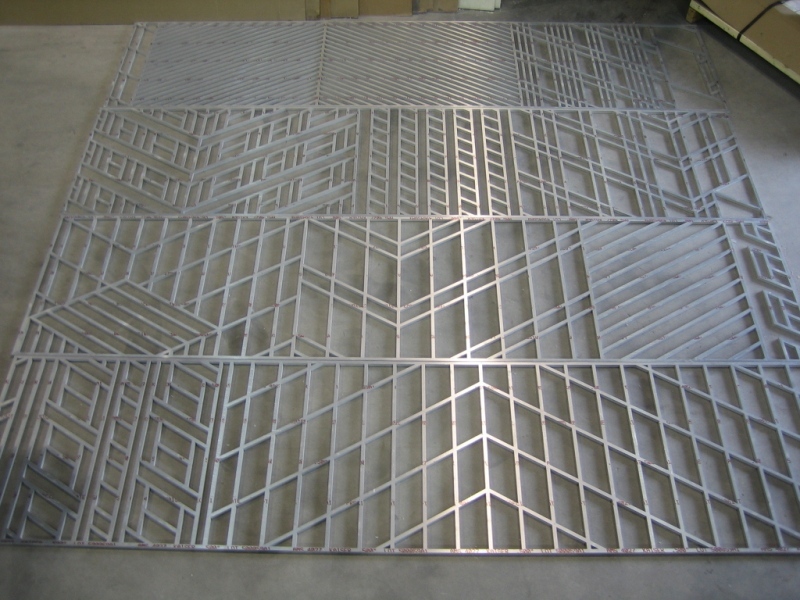 Designed to cut delicate materials with minimal blemishes, by performing the cutting on top of plastic grates that eliminate spray back. 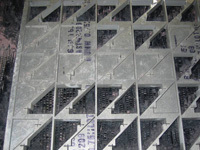 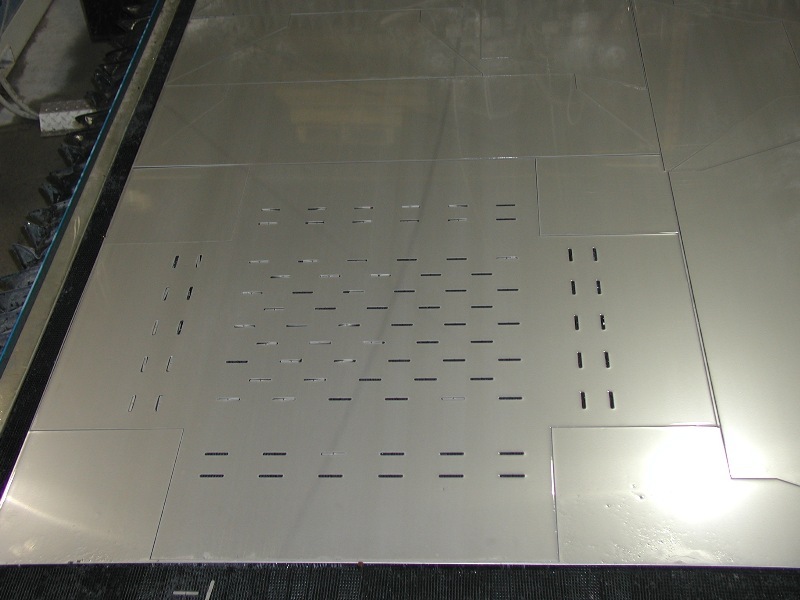 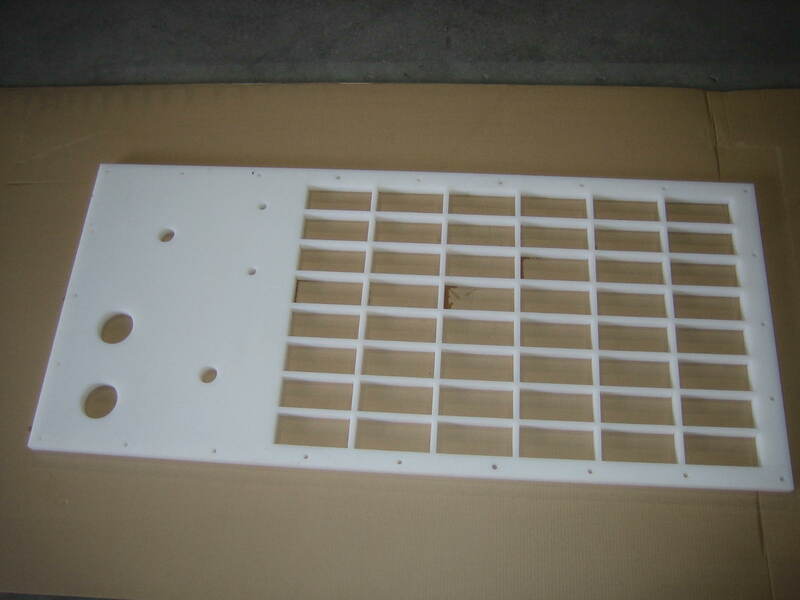 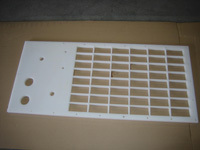 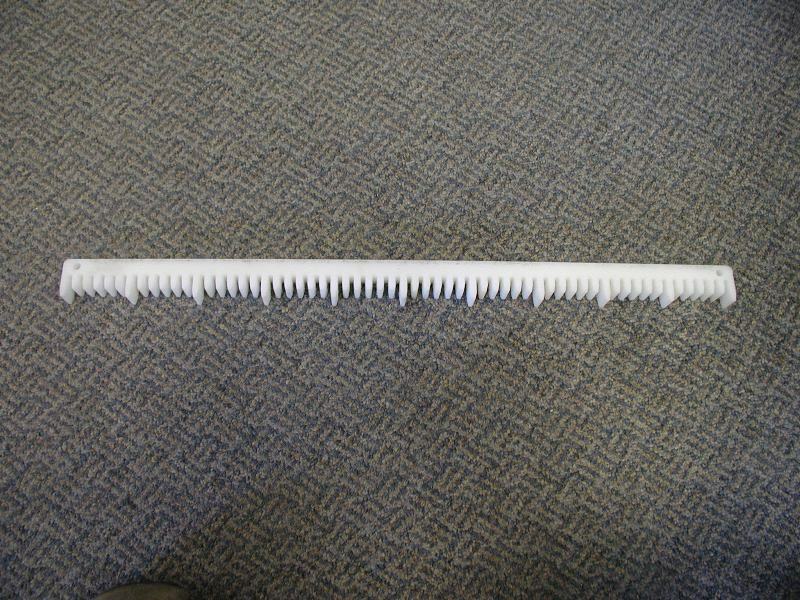 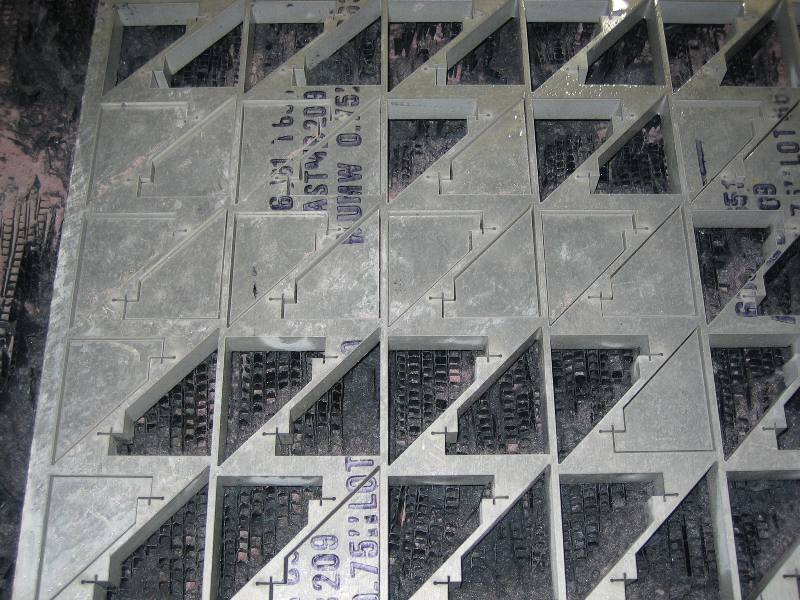 But for larger and rugged materials, the plastic grates can be removed and the cutting can occur directly onto the steel grate supports. 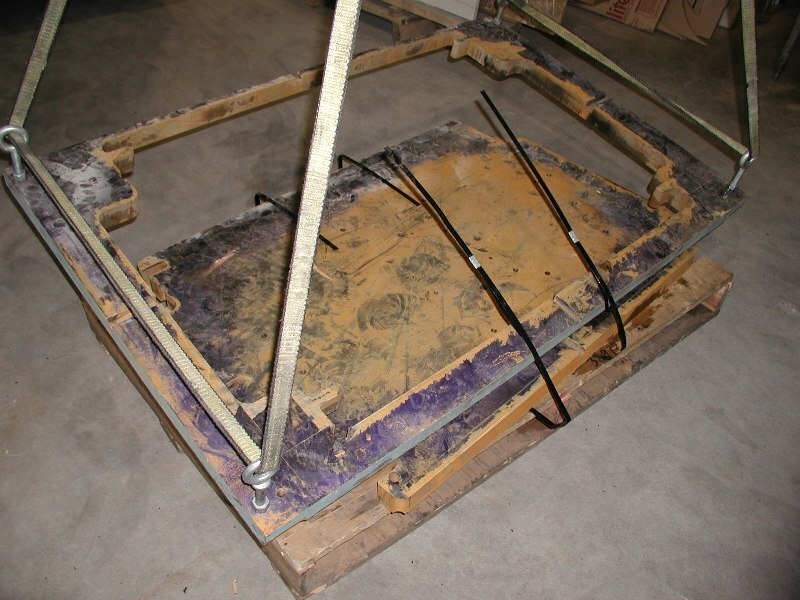 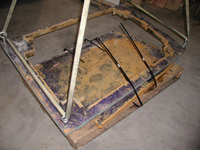 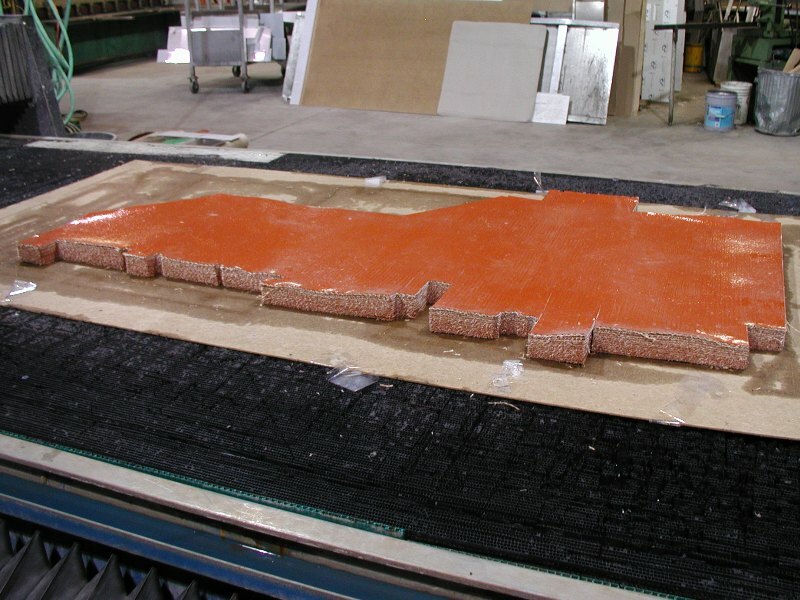 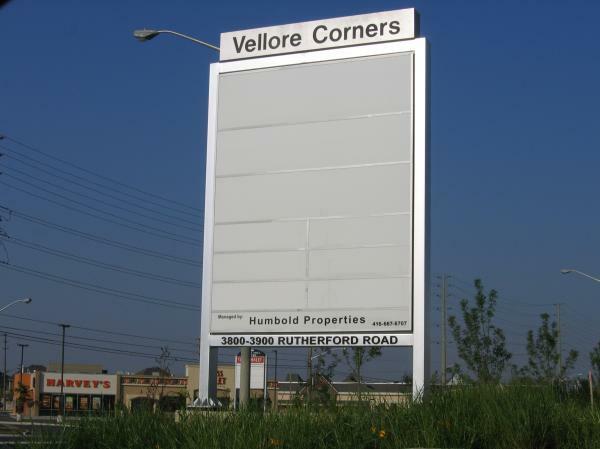 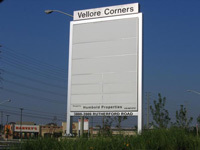 Cuts large format raw materials and reduces scrap. 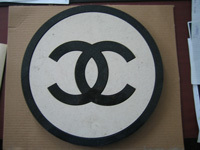 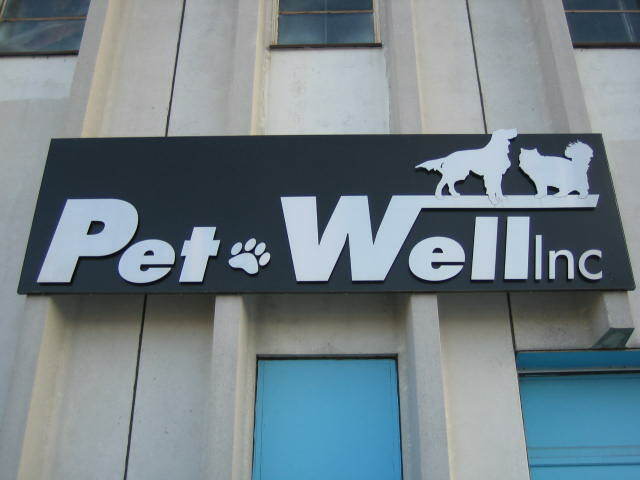 Cleans, purifies and cools, which provides for better quality. 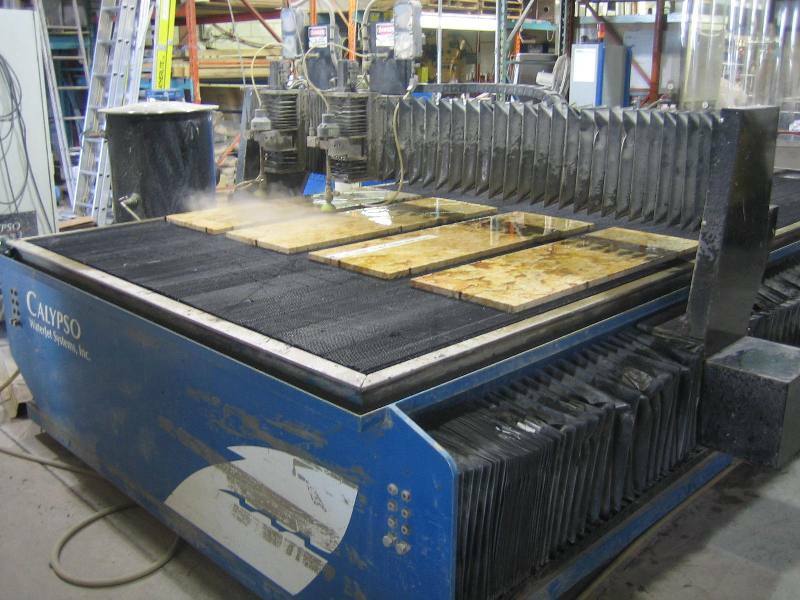 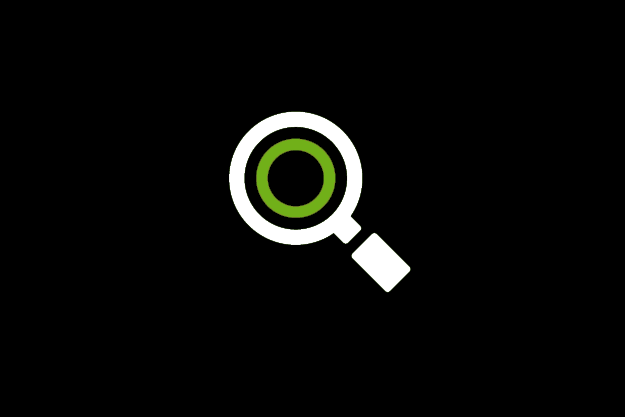 It also recycles the water it uses, which reduces our environmental footprint and reduces costs, which we pass onto our clients. 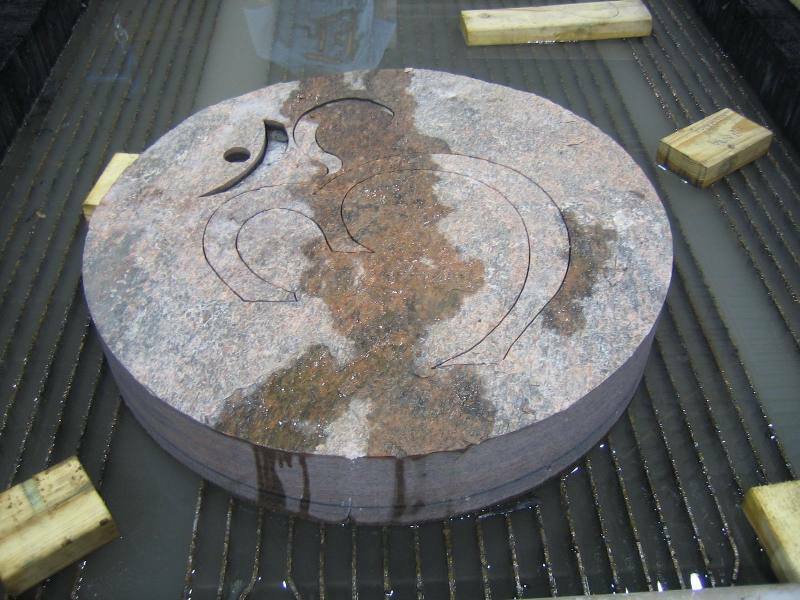 See the Waterjet Technology page for information on the many advantages of Waterjet Cutting technology and for a comparison to other cutting technology. 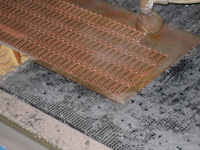 Prevents heat-affected zones, thus avoiding thermal distortion and edge hardening of the material being cut. 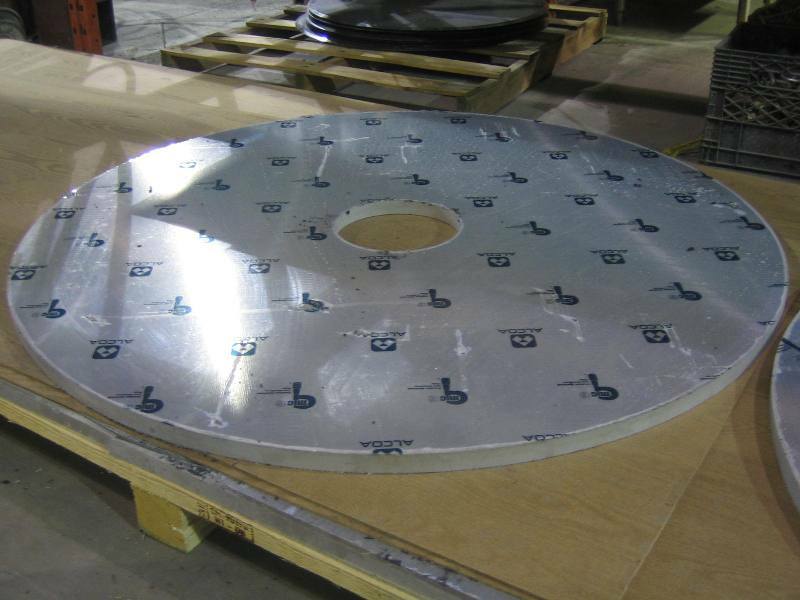 This makes it ideal for post-machining and welding. 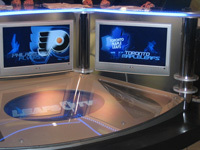 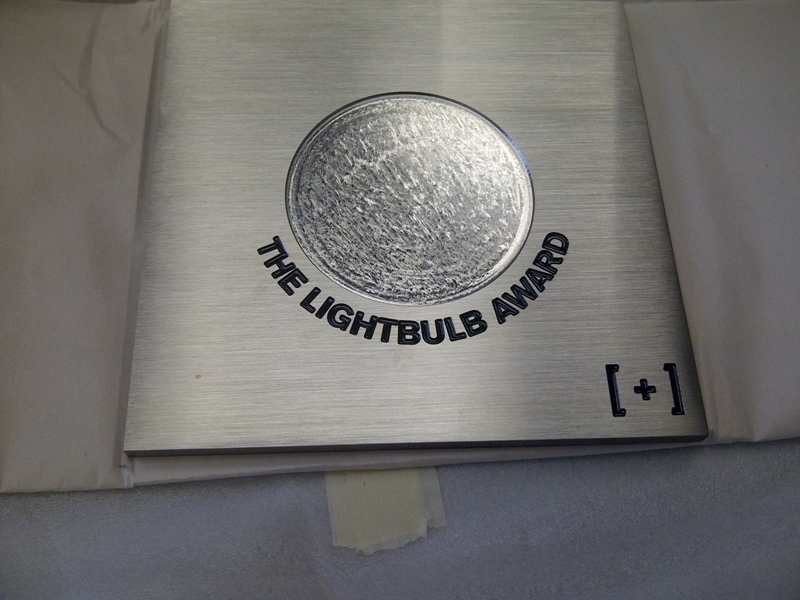 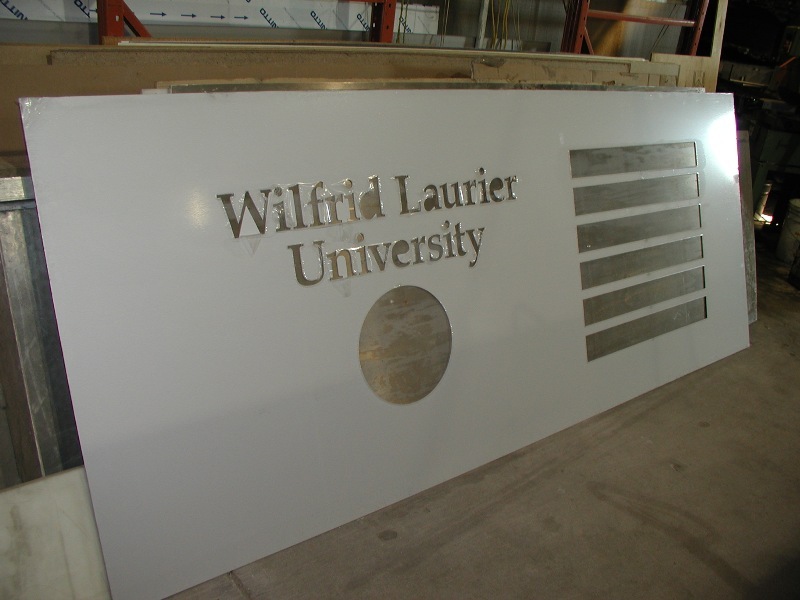 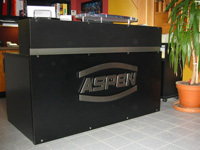 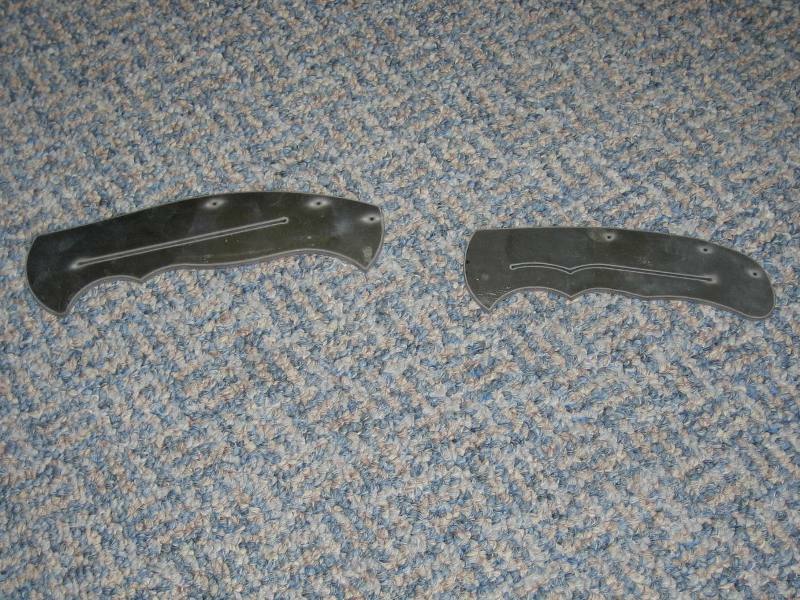 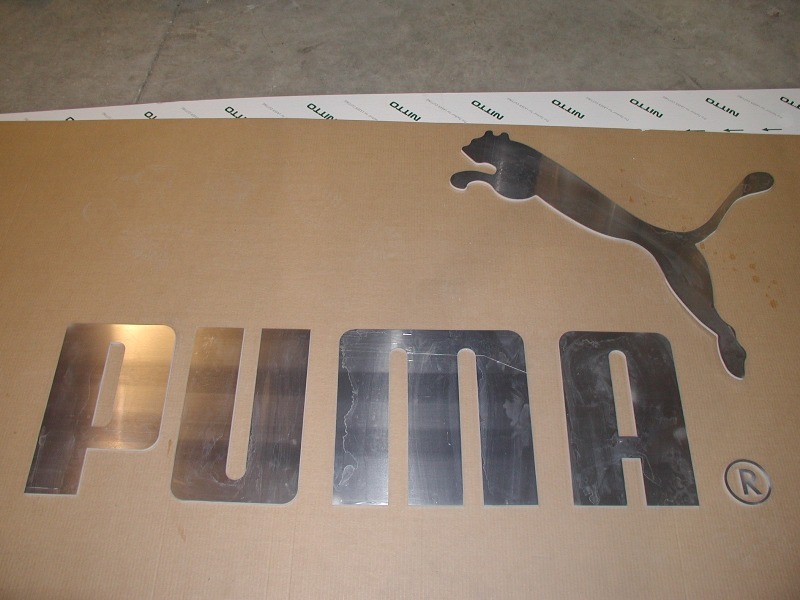 Able to cut all materials except for carbide steel and tempered glass, including reflective materials. Able to maintain focus when cutting over uneven surfaces. 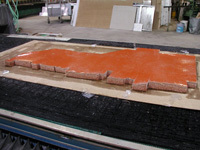 Uniformity of material is not very important. Cut holes closer to the materials edge. 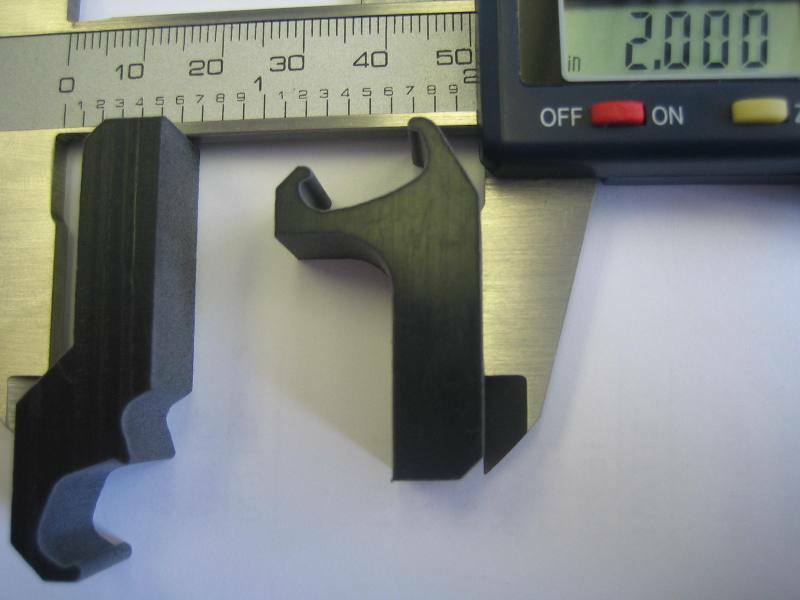 Can achieve tight tolerances on parts thicker than 0.5"
Can be varied by changing the speed of the cut, from a rough cut (for post-machining) to a fine cut (for finished parts). Reduces scrap with its part nesting technology and larger cutting area. 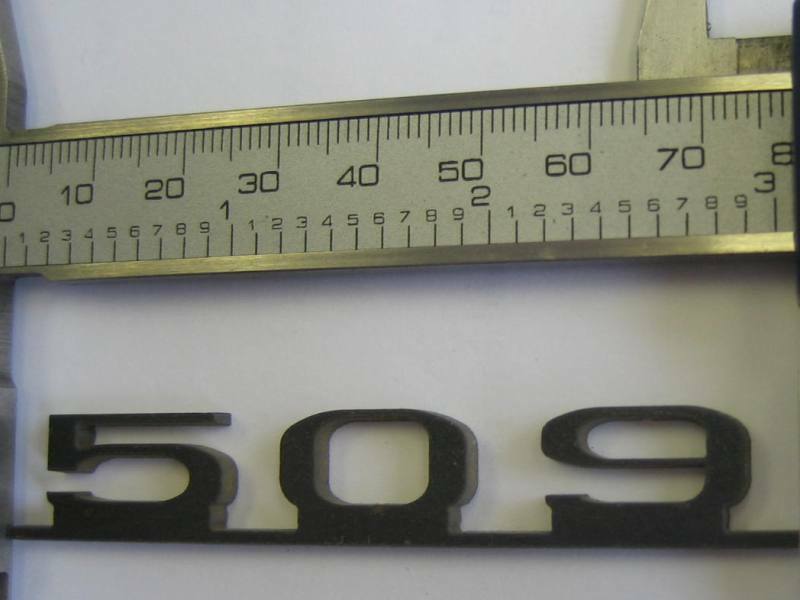 And due to its relatively narrow kerf of 0.030”, it also reduces scrap by allowing uncut parts to be nested more closely together than traditional cutting methods. 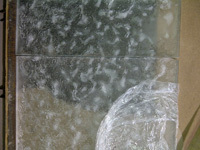 Water can be recycled using a closed-loop system. 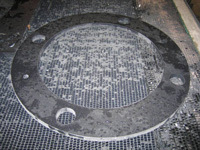 Waste water usually is clean enough to filter and dispose of down a drain. 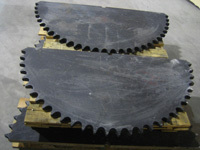 The garnet abrasive is a non-toxic material that can be recycled or disposed of. 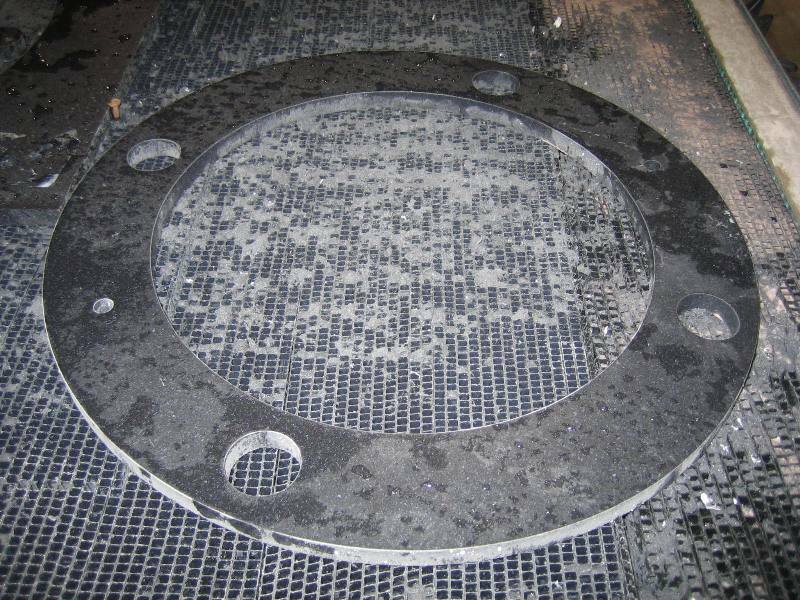 Waterjets also produce fewer airborne dust particles, smoke, fumes, and contaminants, reducing operator exposure to hazardous materials. 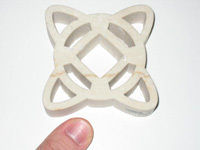 Waterjets can cut many materials that lasers cannot. 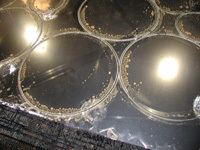 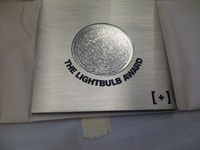 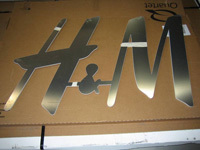 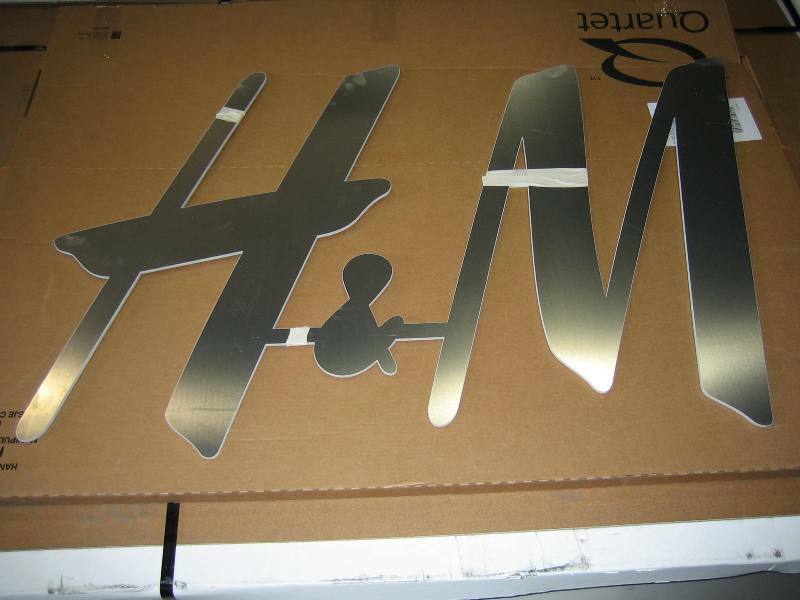 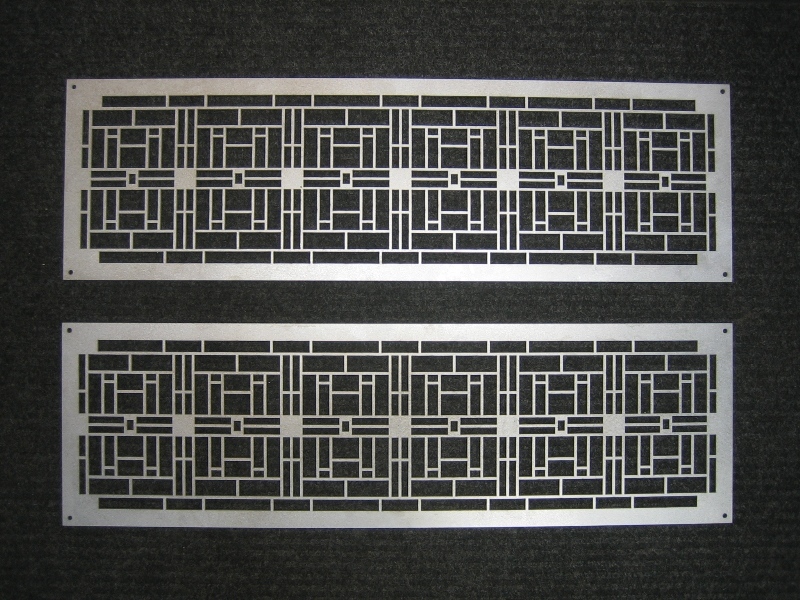 Reflective materials in particular, such as aluminum and copper. 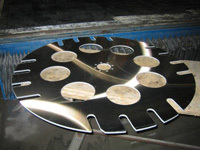 There is no thermal distortion or edge hardening of the material being cut by waterjet, whereas lasers create burned, hardened edges. 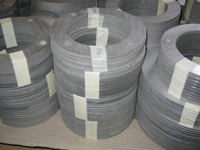 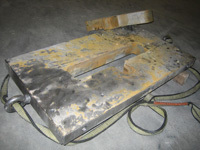 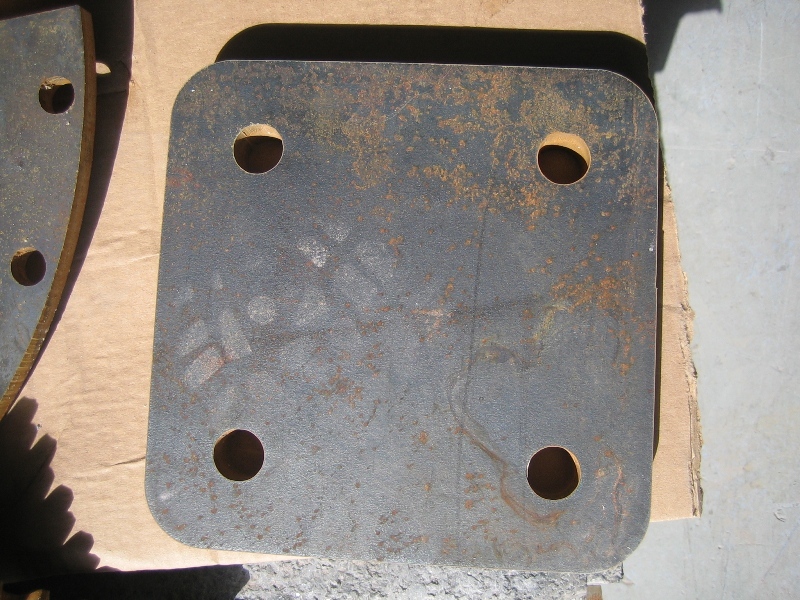 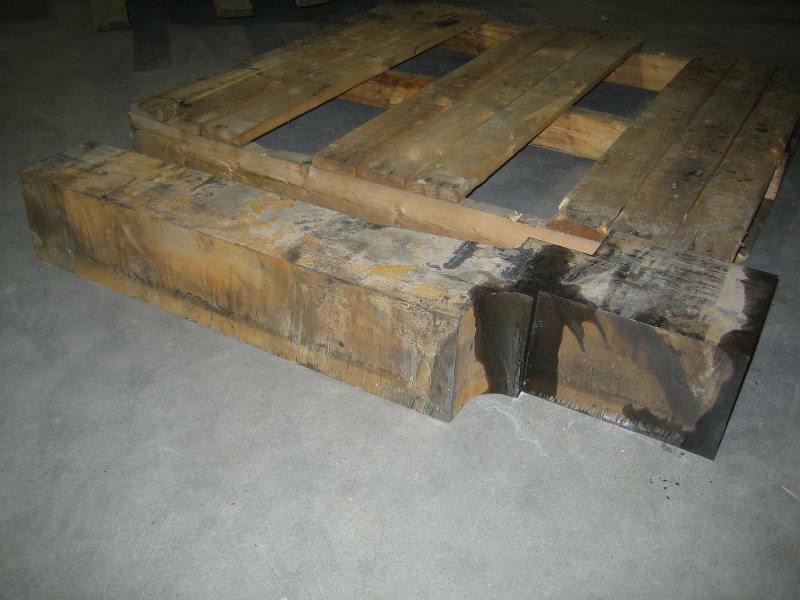 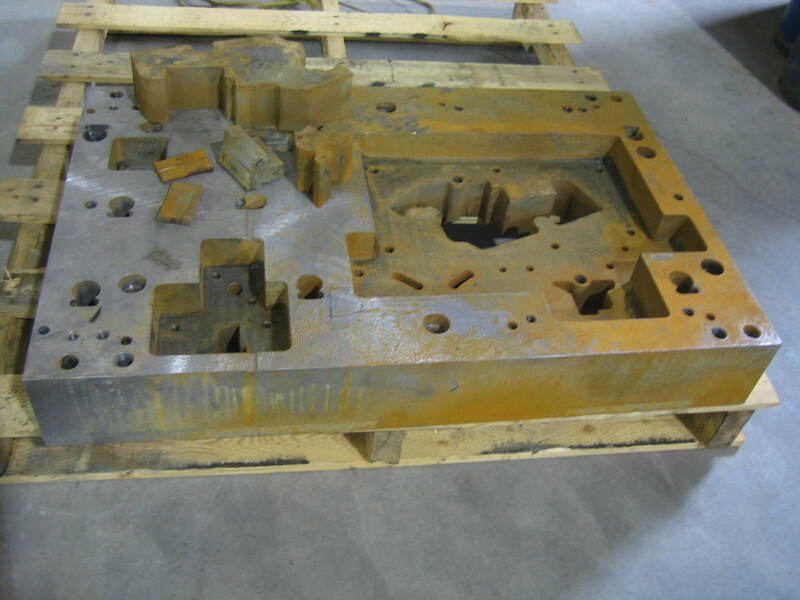 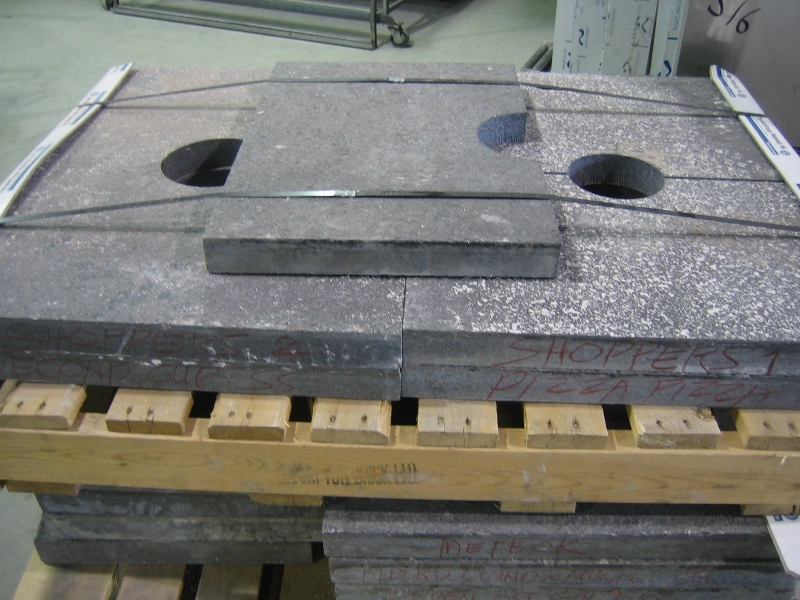 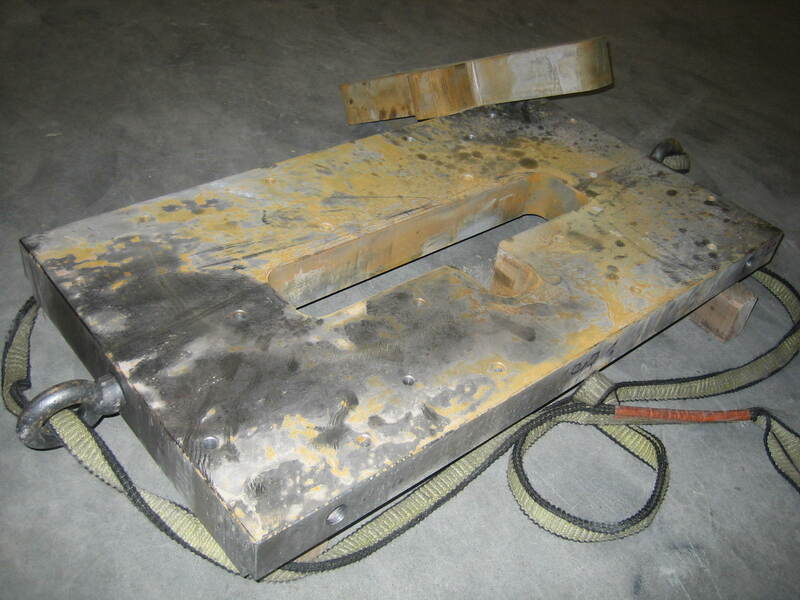 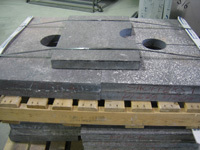 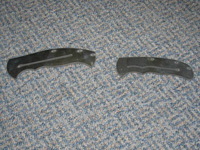 This affected material is difficult to weld and harder on machine tools, reducing their life. 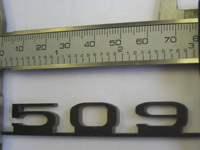 Precision waterjets can obtain about the same tolerances than lasers on thin parts, and tighter tolerances on parts thicker than 0.5", especially as thickness increases. 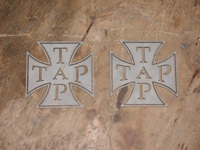 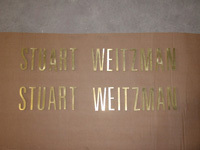 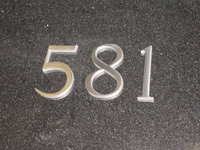 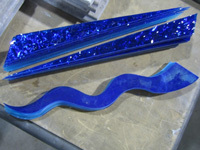 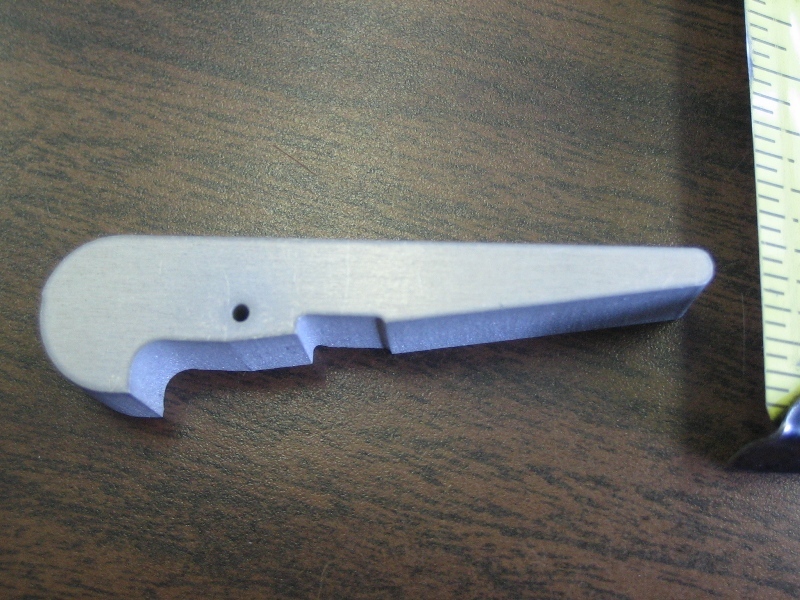 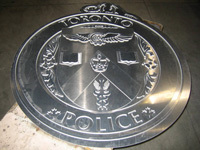 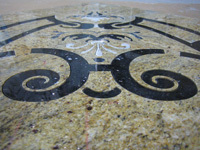 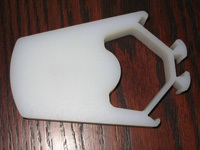 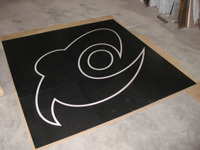 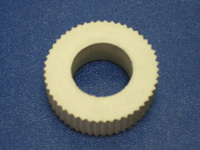 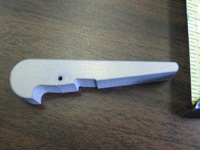 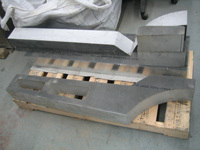 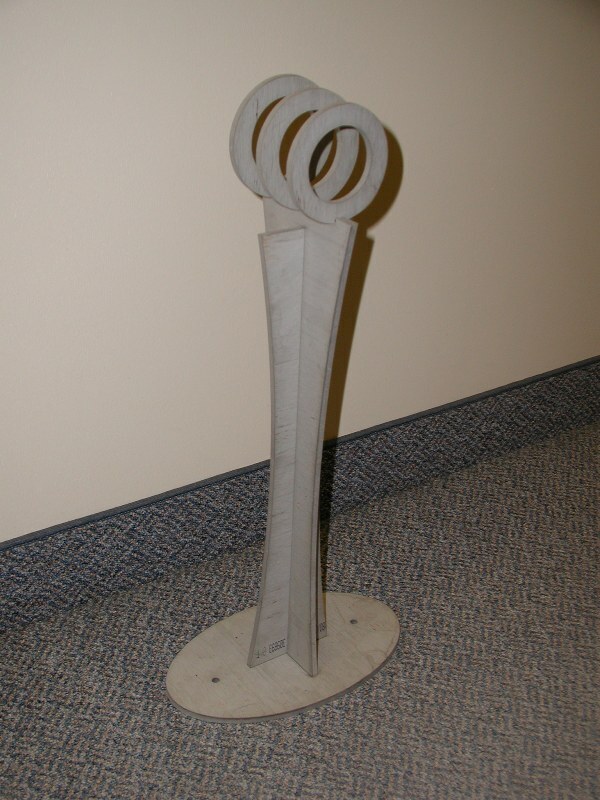 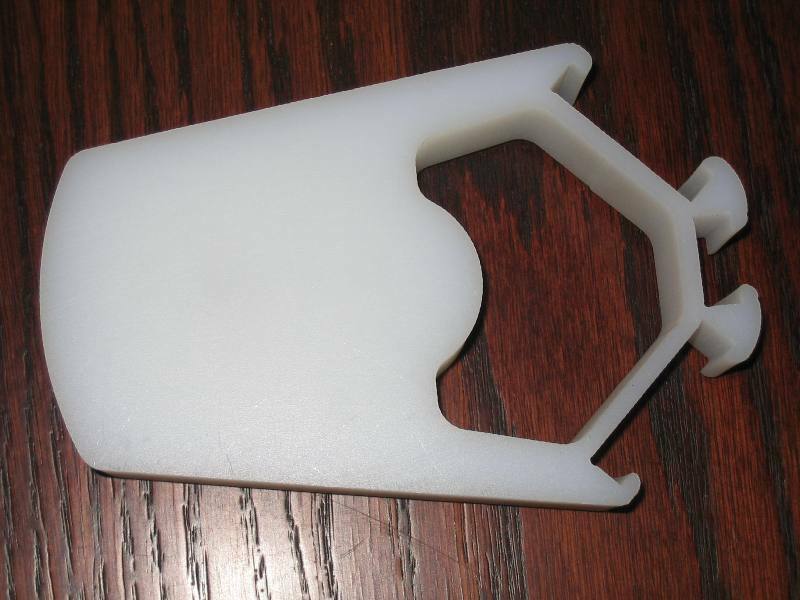 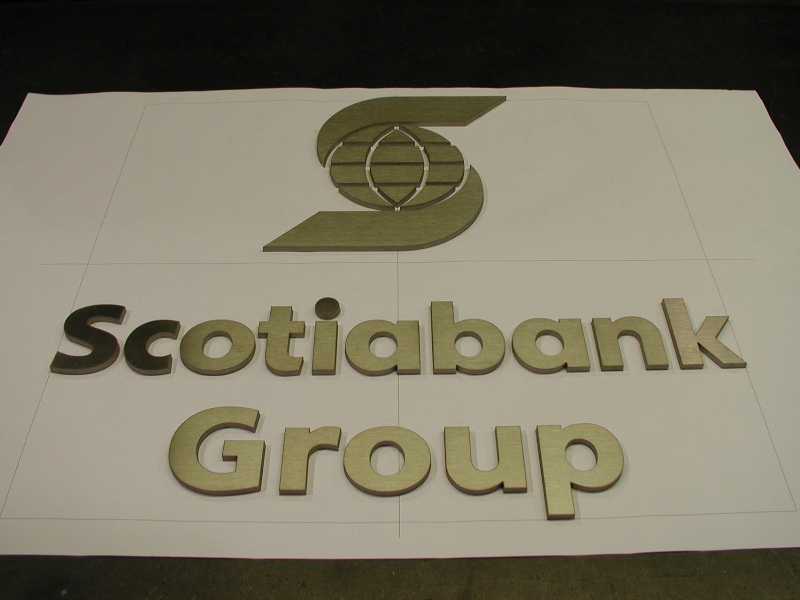 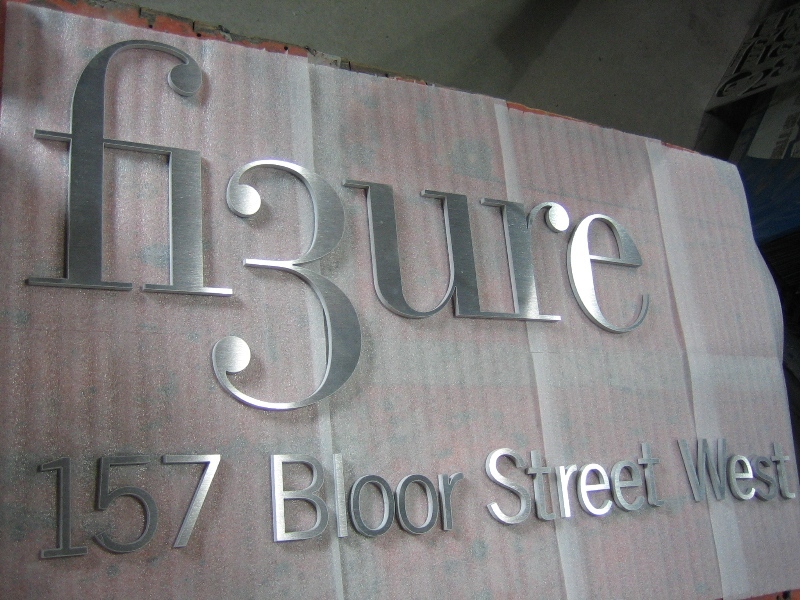 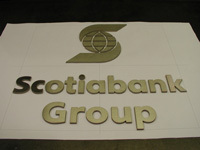 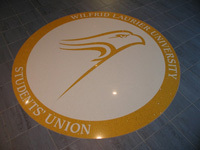 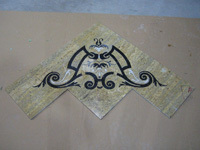 Waterjets can cut thicker materials. 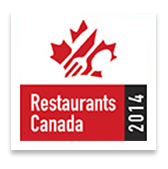 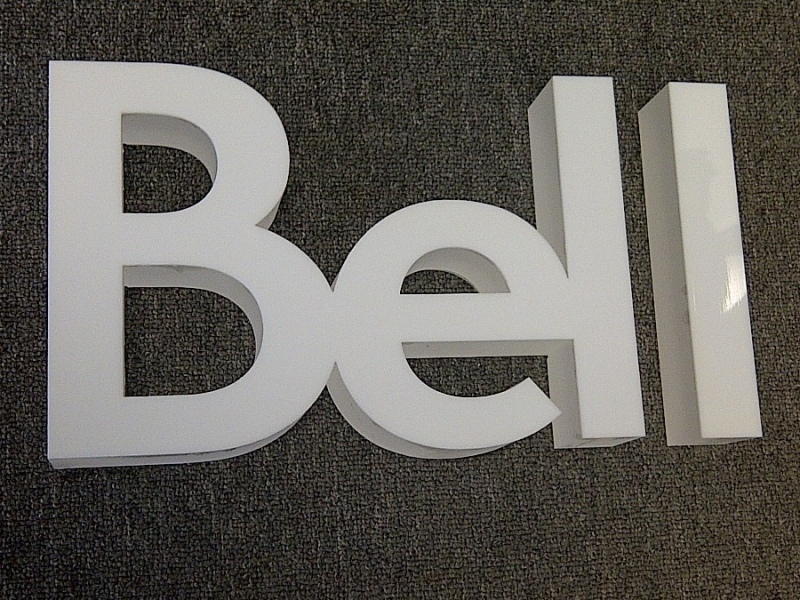 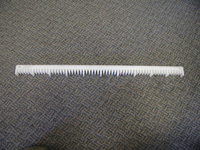 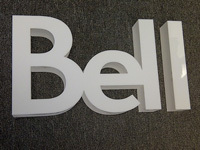 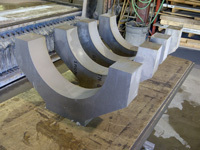 Up to 10" thick or thicker in special applications. Lasers have a maximum of about 0.5" (12mm) - 0.75" (19mm) for mild steel. 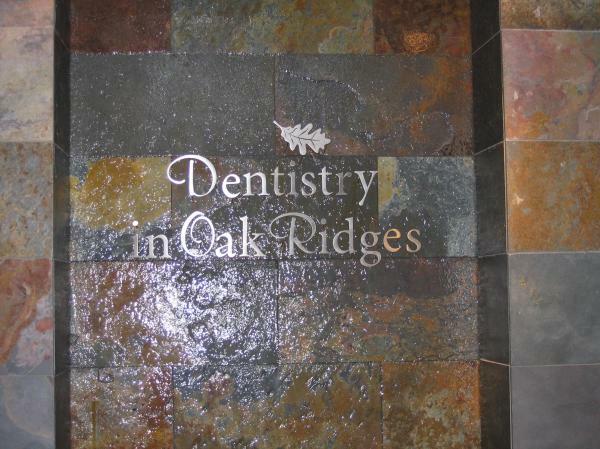 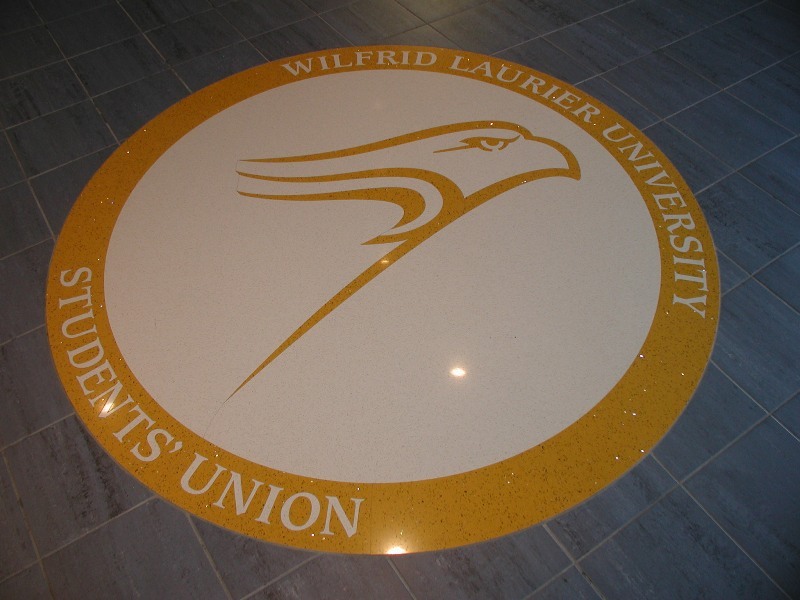 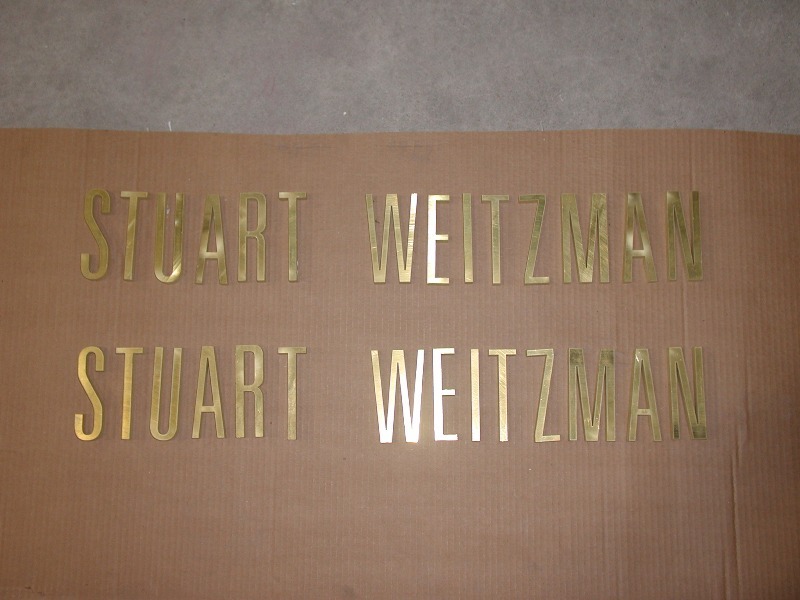 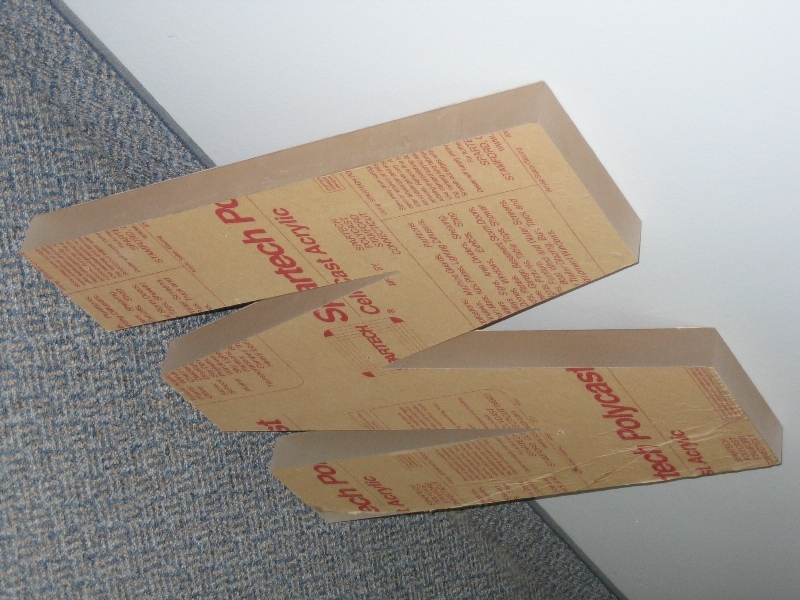 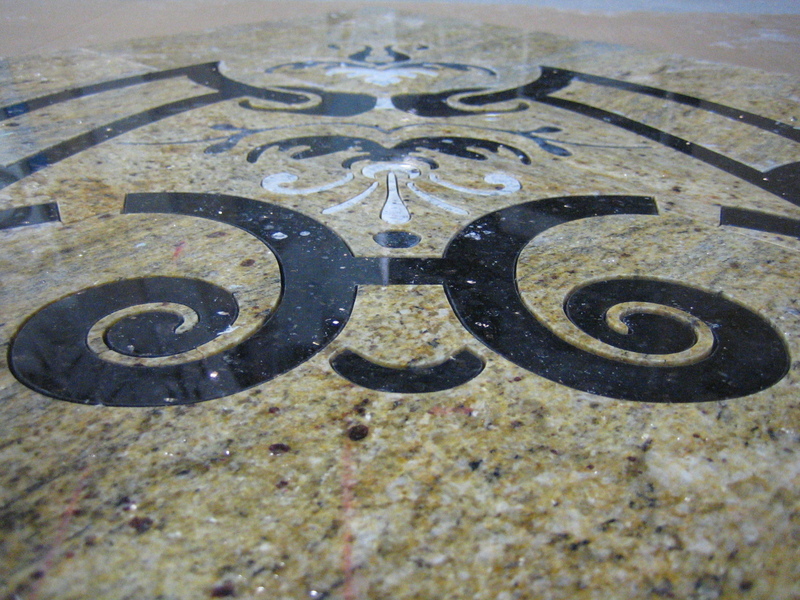 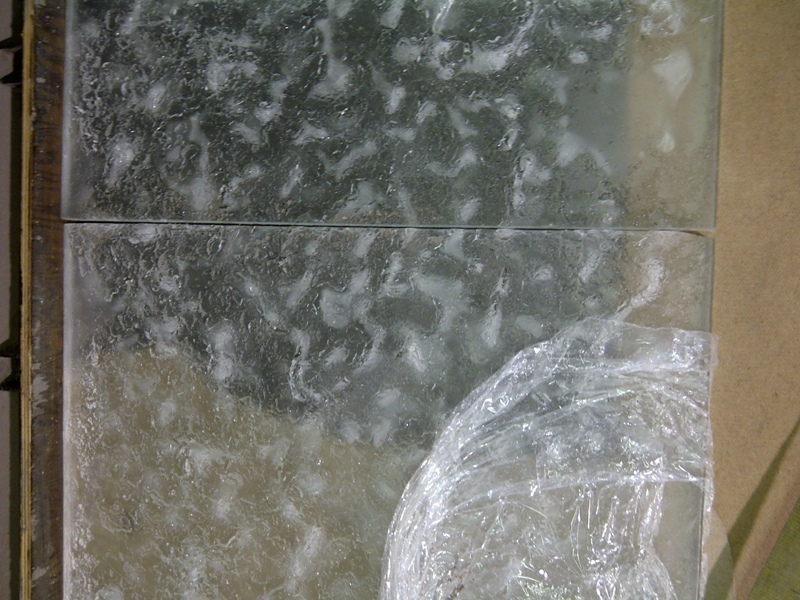 Waterjets do not lose much focus when cutting over uneven surfaces, lasers do. 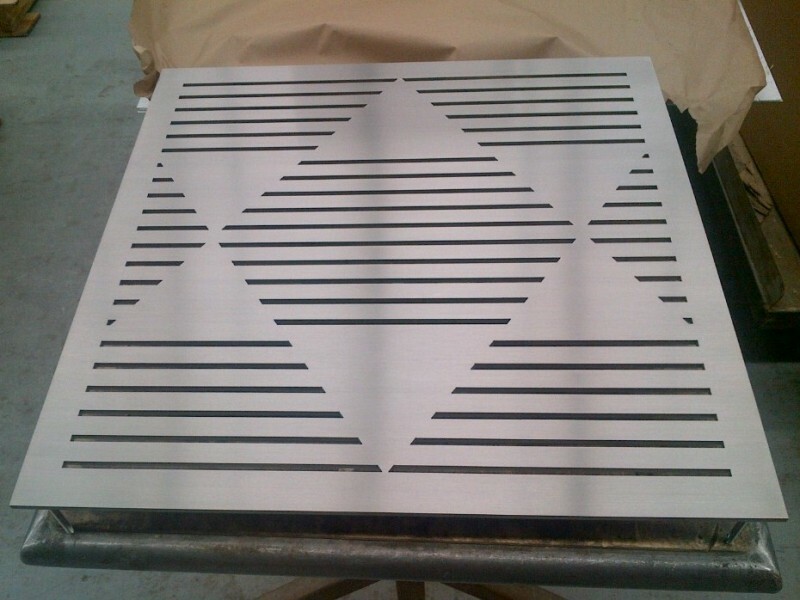 While lasers are often faster on thinner materials, waterjets can stack materials, so you are cutting multiple thin parts simultaneously plus with dual head technology we are cutting 2 parts side by side at the same time. 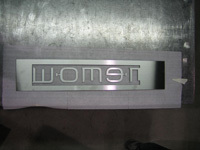 Waterjets create much cleaner edge quality. Lasers emit toxic contaminants into the air. Waterjets are much faster than EDM. 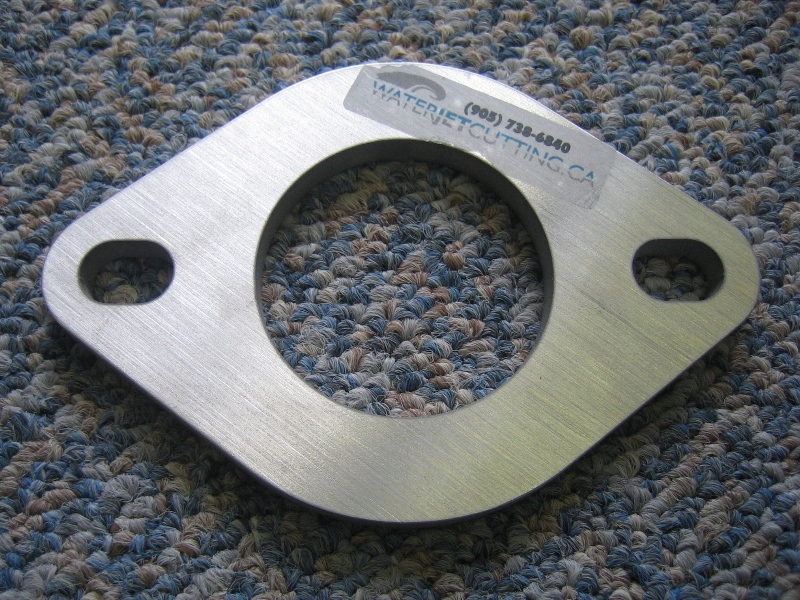 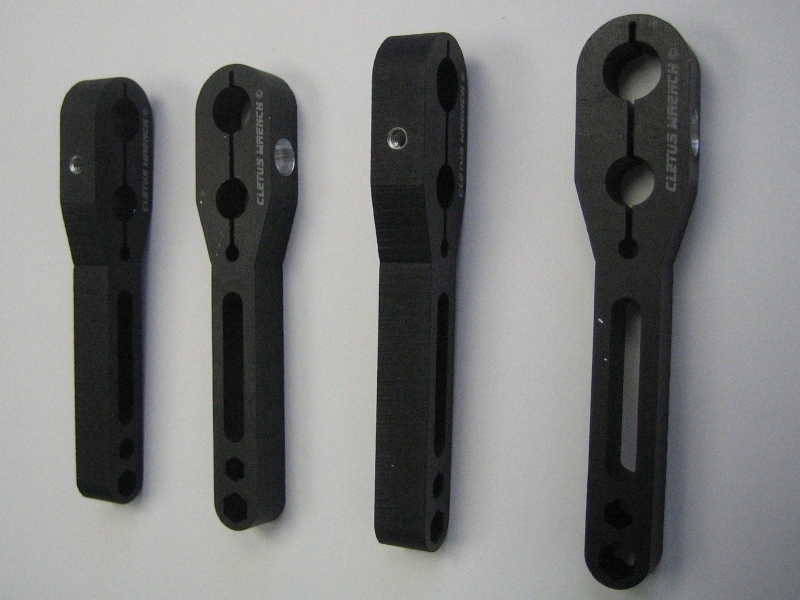 Waterjets cut a wider variety of materials. 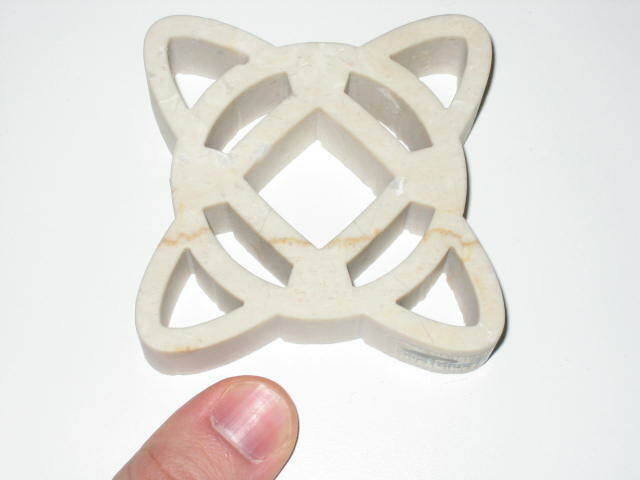 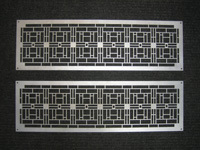 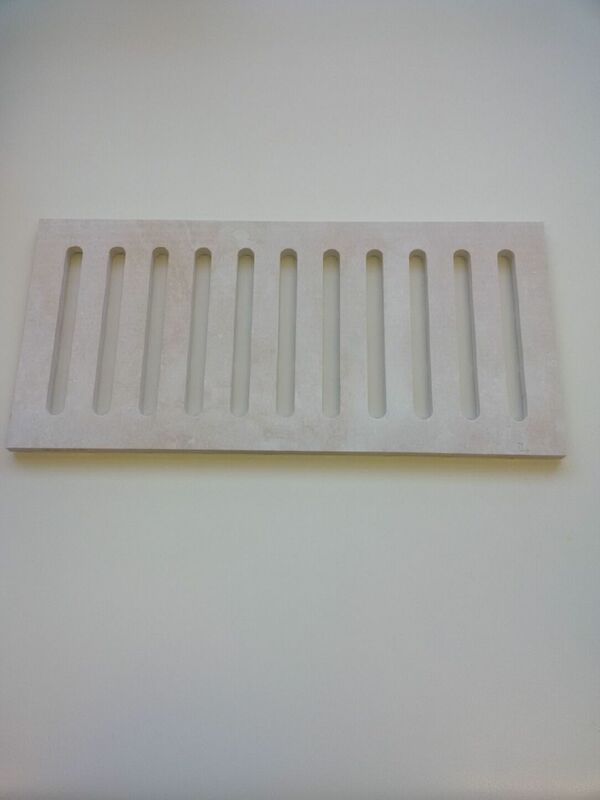 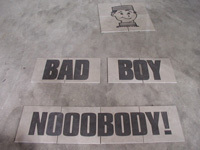 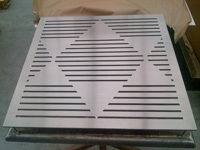 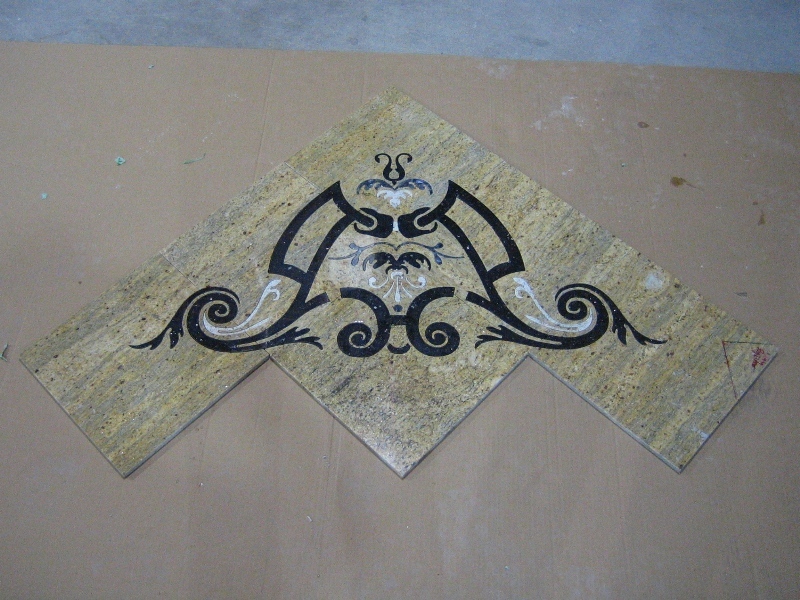 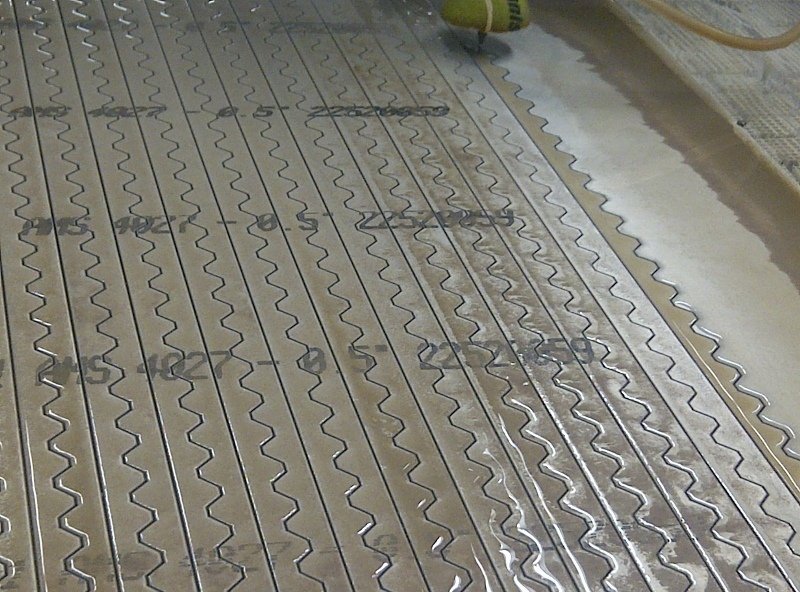 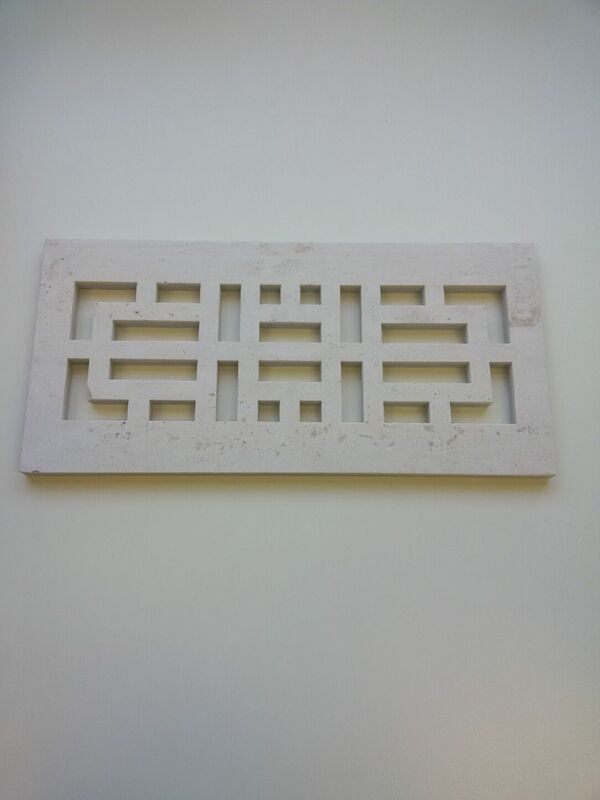 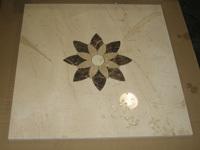 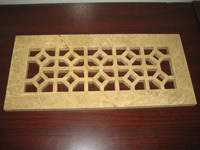 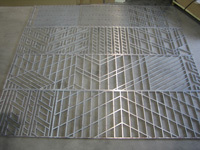 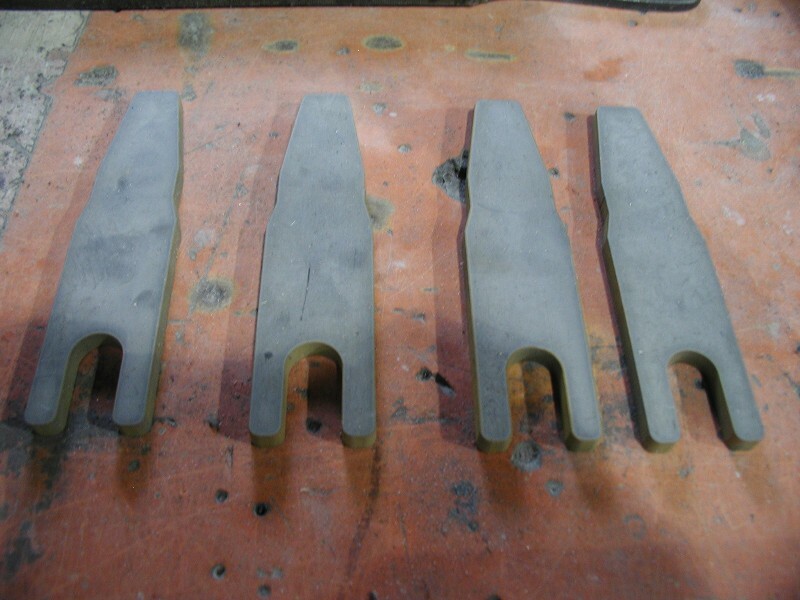 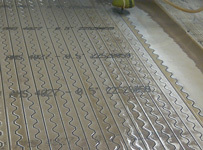 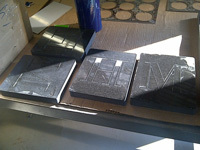 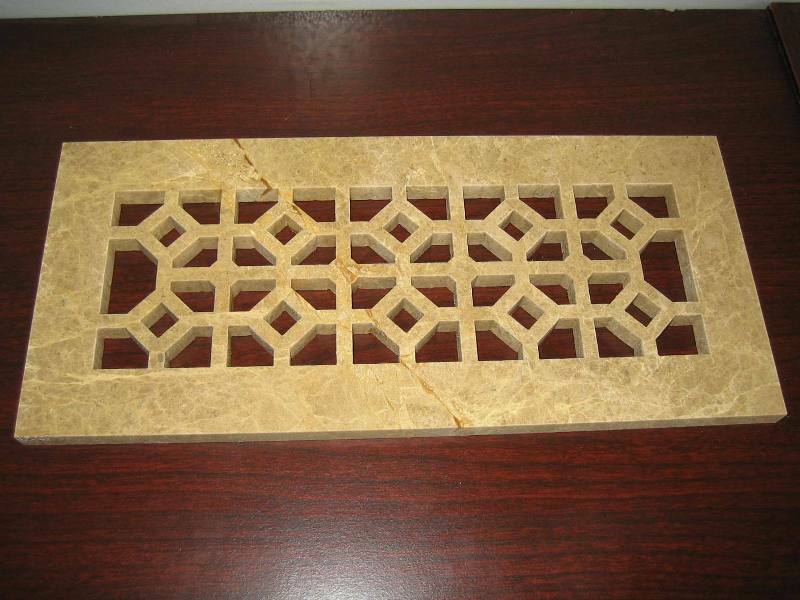 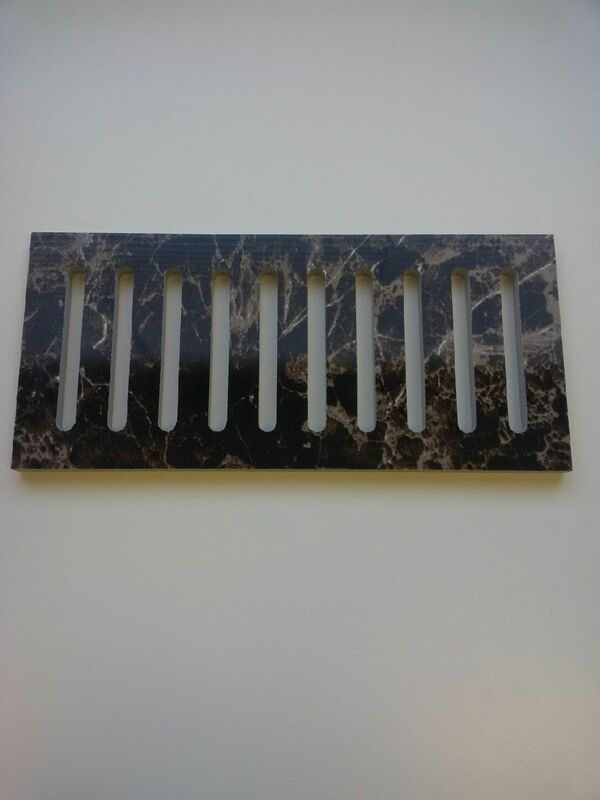 Uniformity of material is not very important to a waterjet. Waterjets make their own pierce holes. 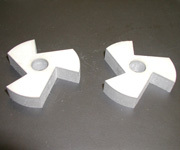 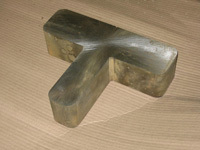 Waterjets do not heat the surface of the material. 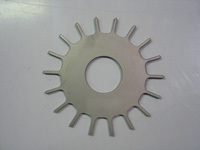 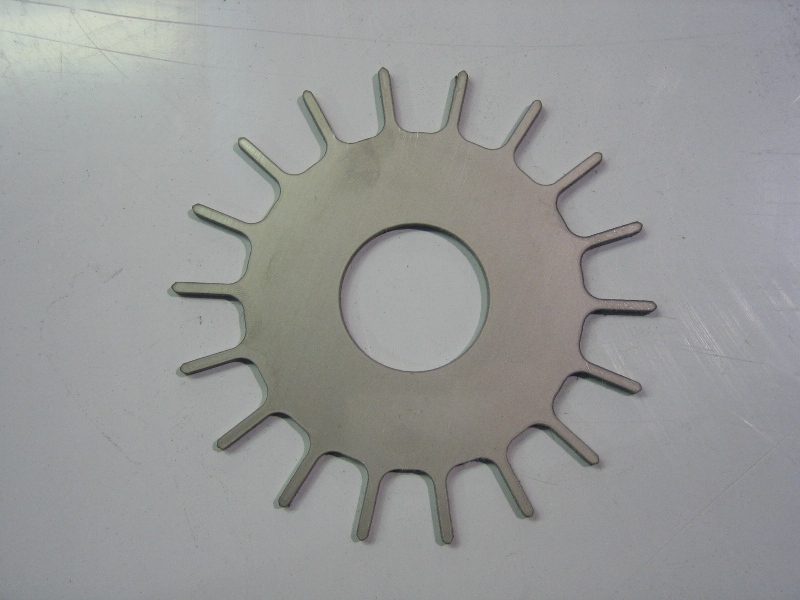 Waterjets are useful for creating start holes for EDM wire insertion. 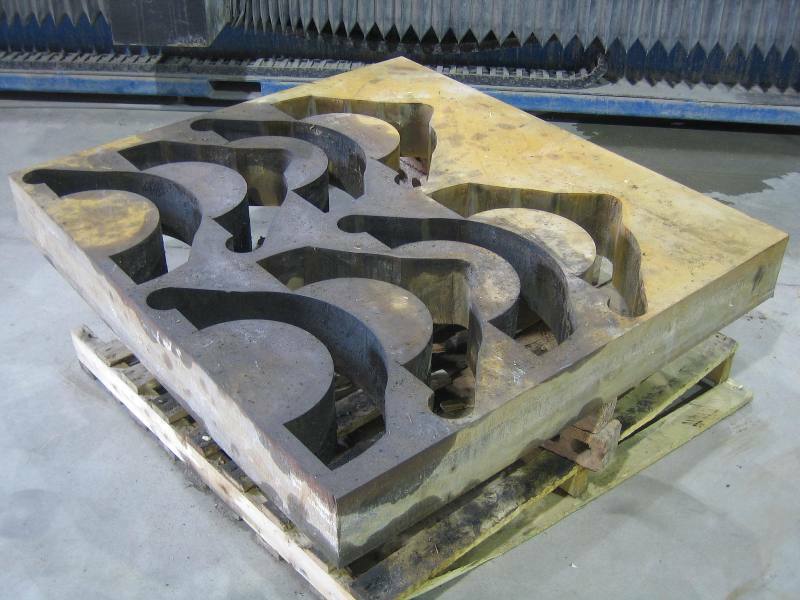 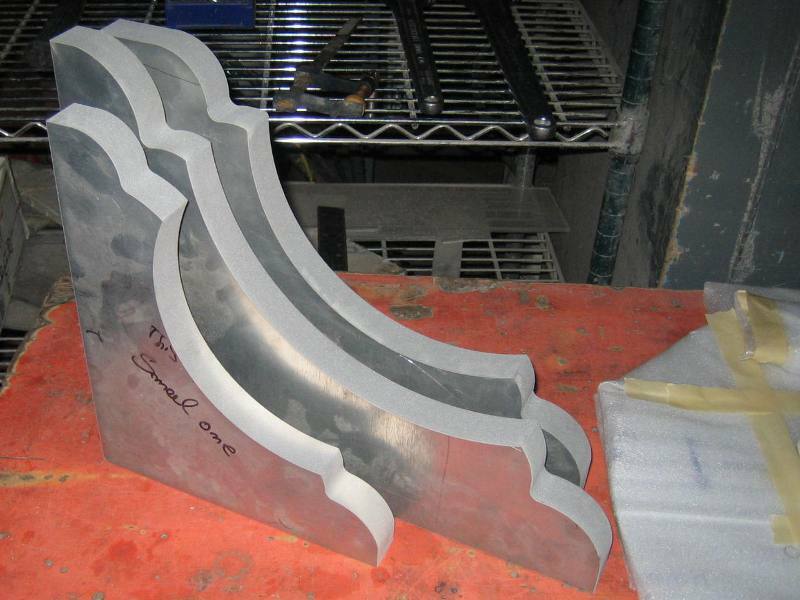 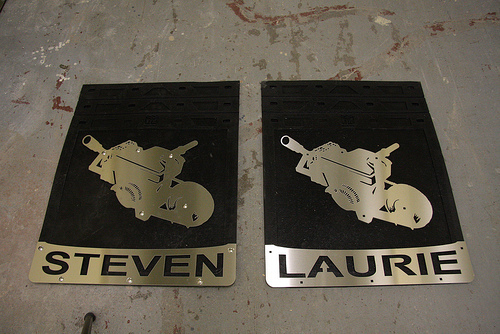 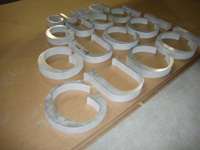 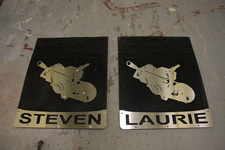 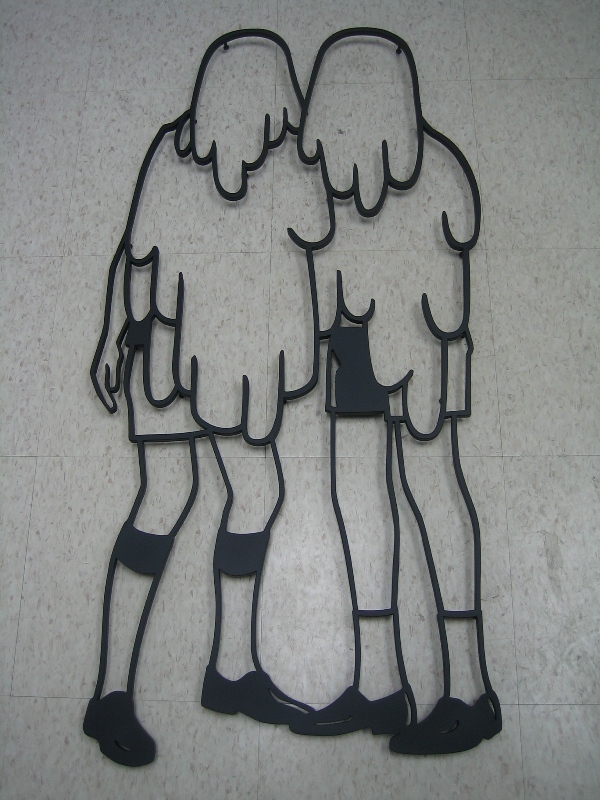 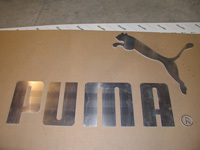 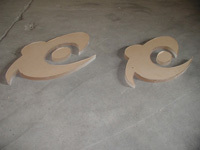 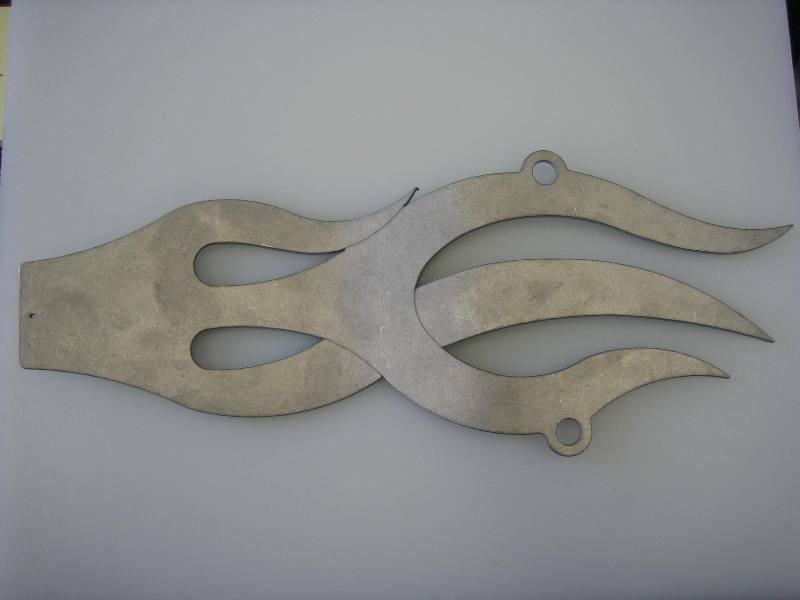 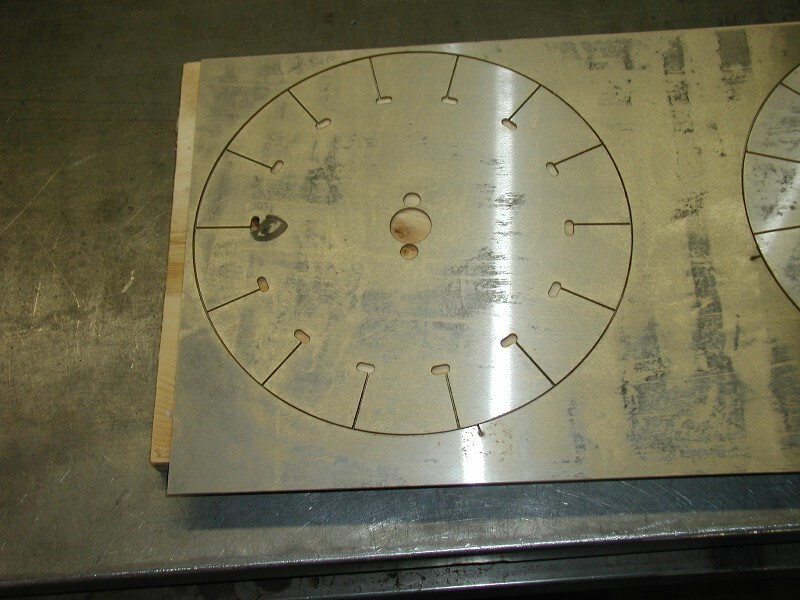 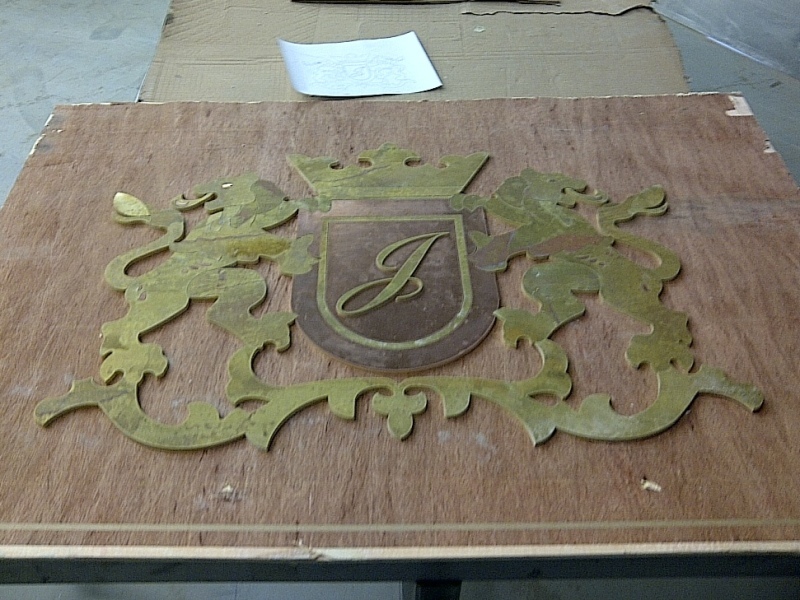 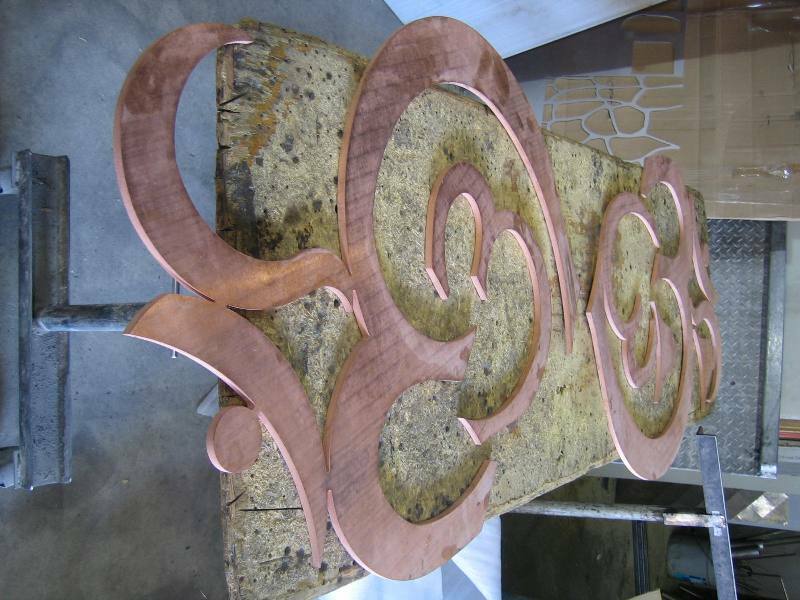 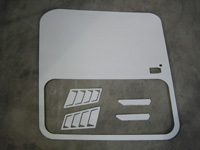 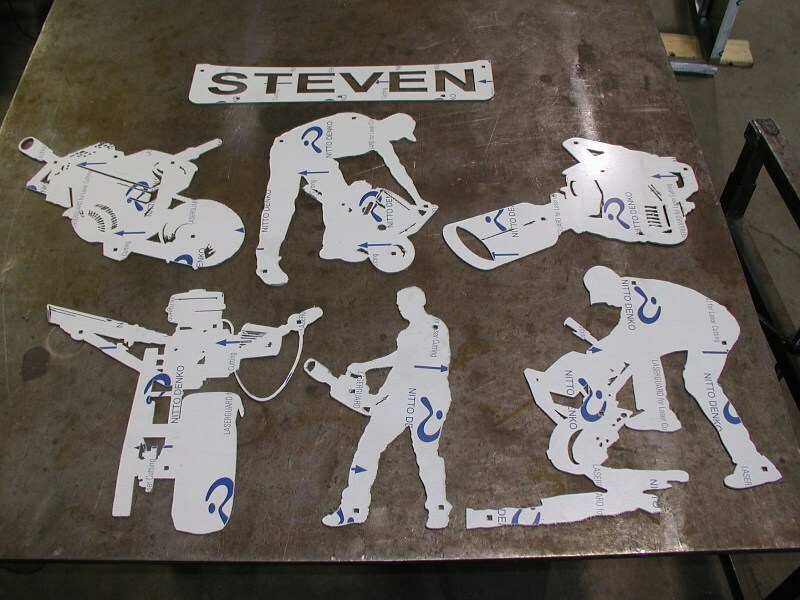 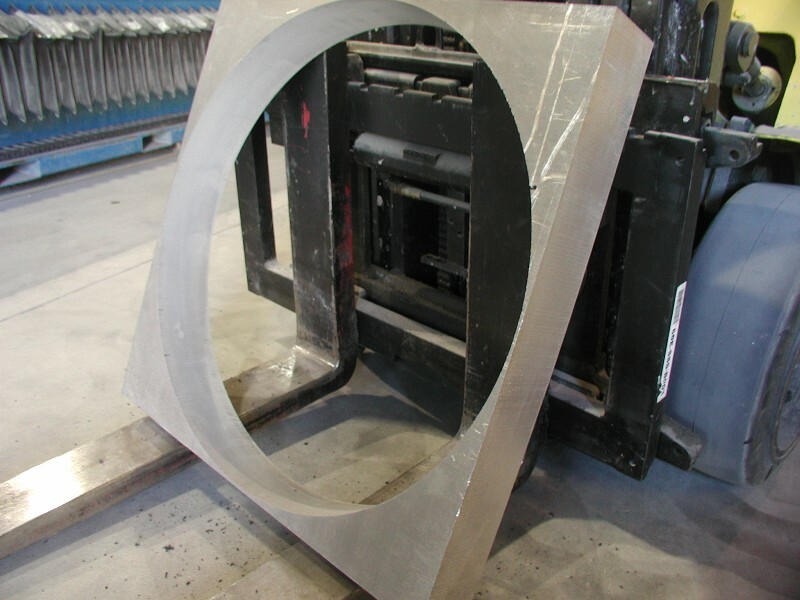 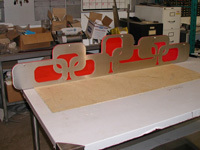 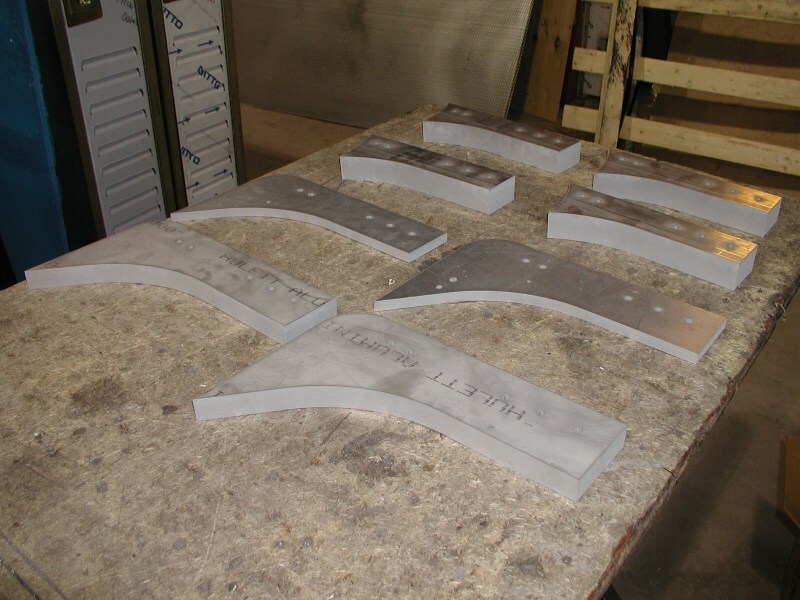 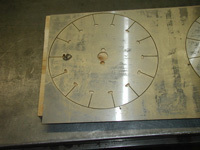 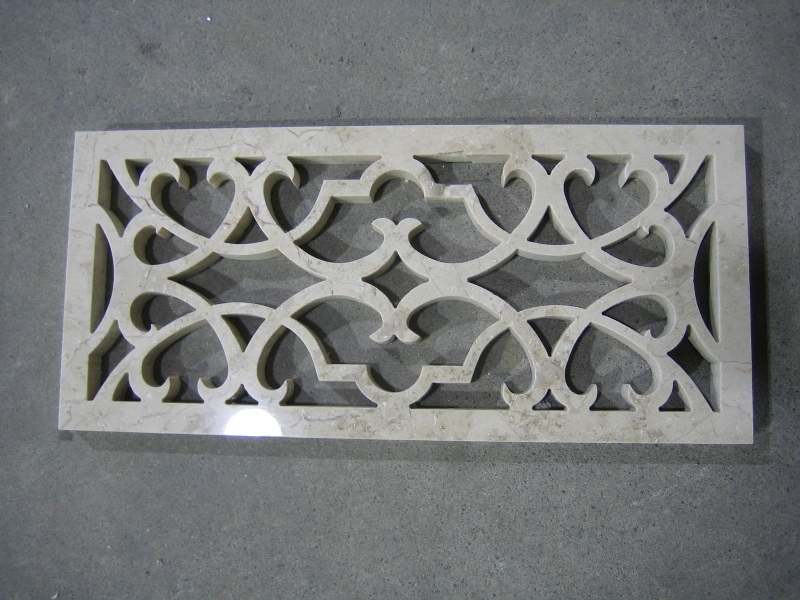 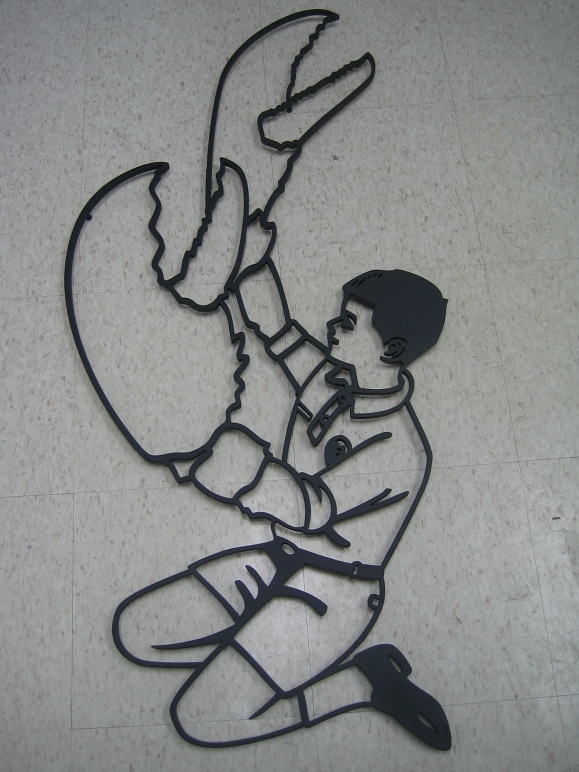 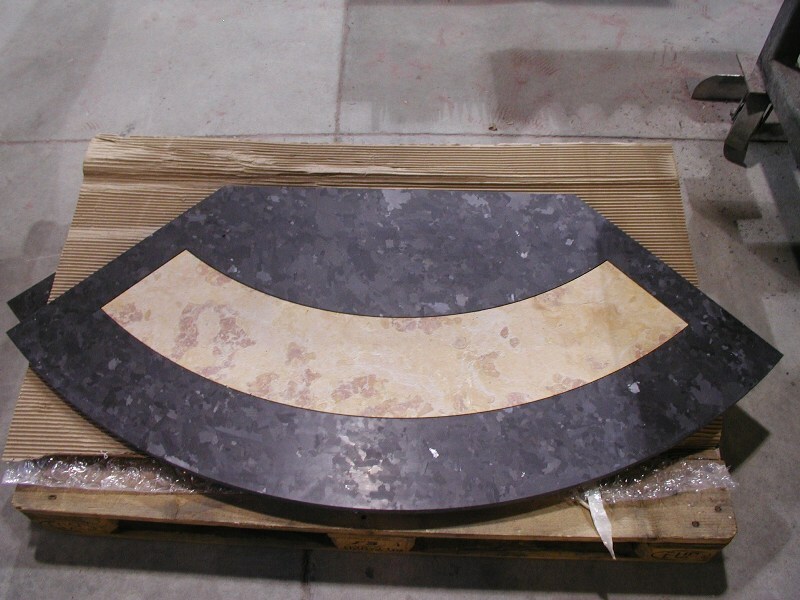 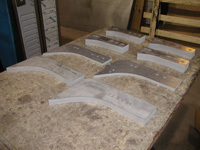 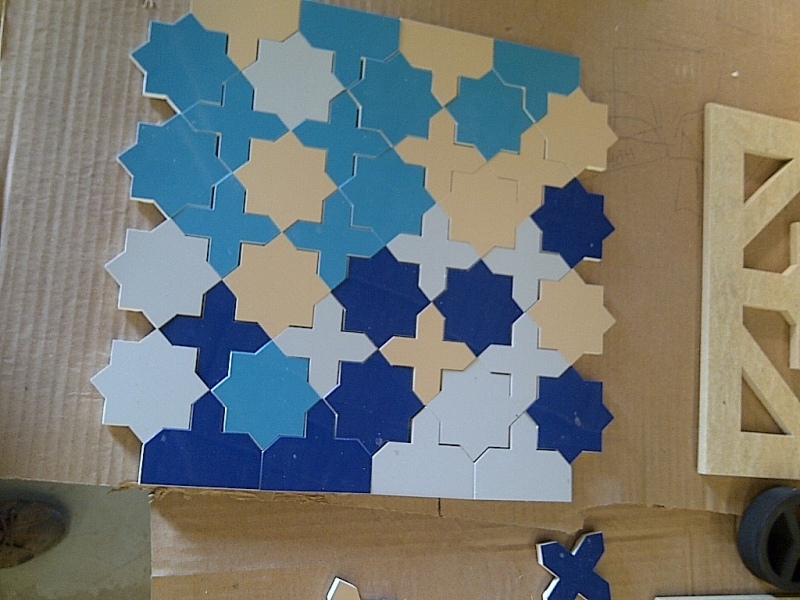 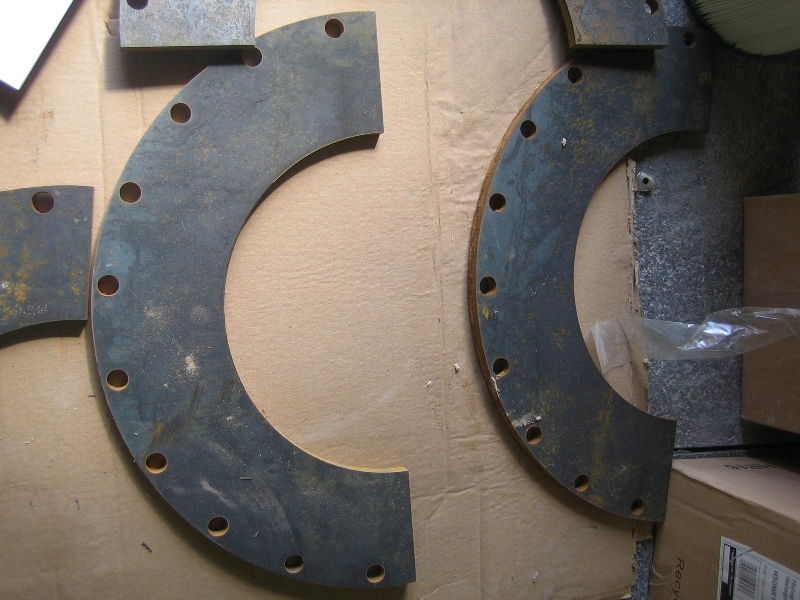 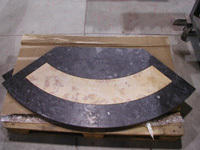 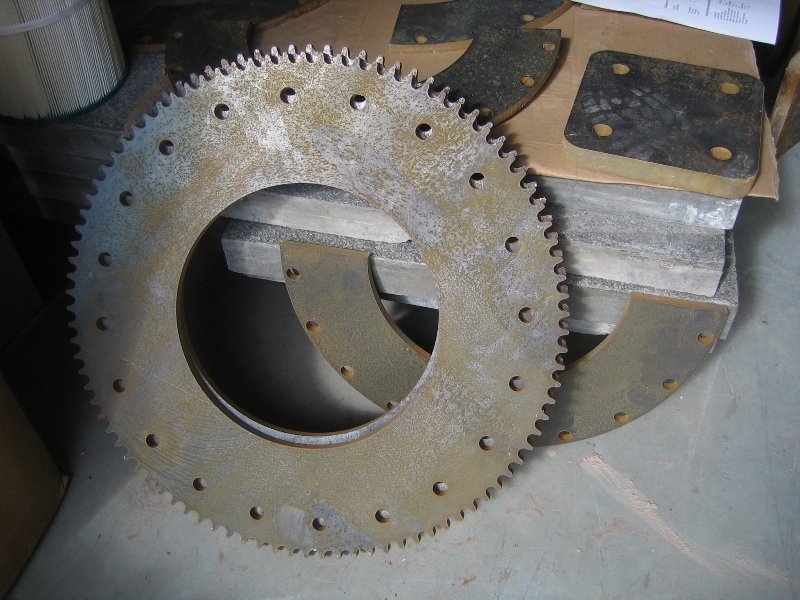 Larger parts can be cut on a waterjet. 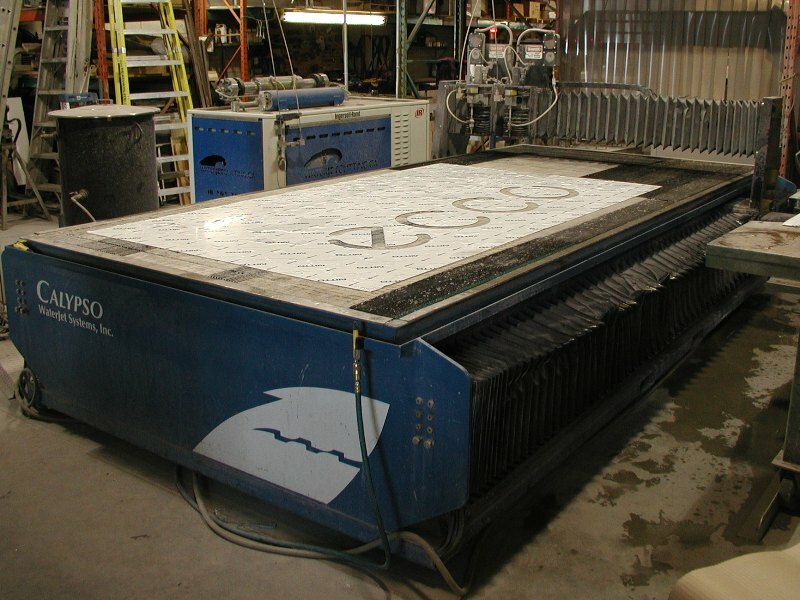 There is only one tool on a waterjet. 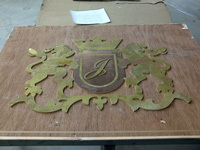 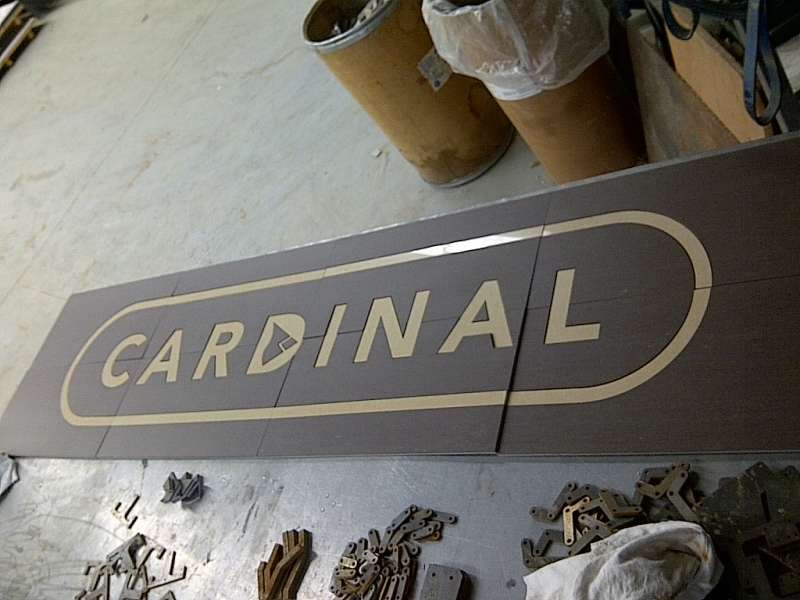 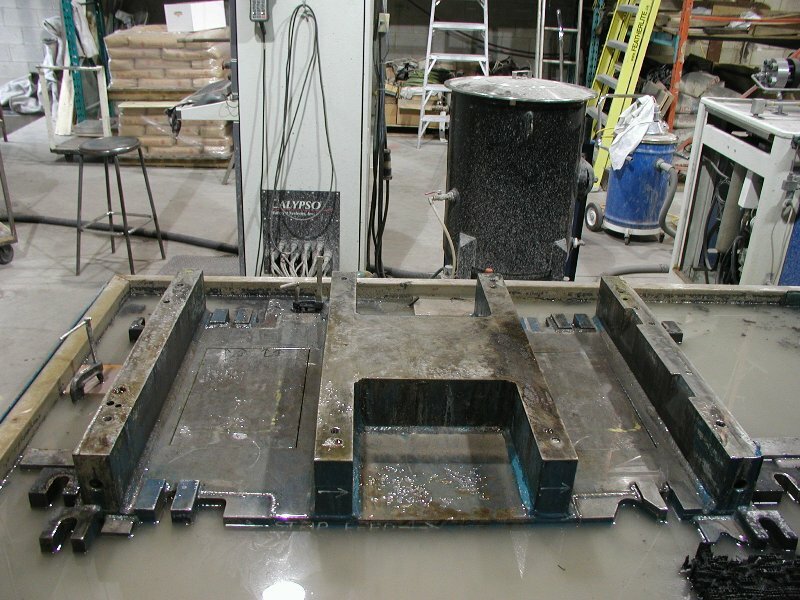 Cleanup is much faster with a waterjet. 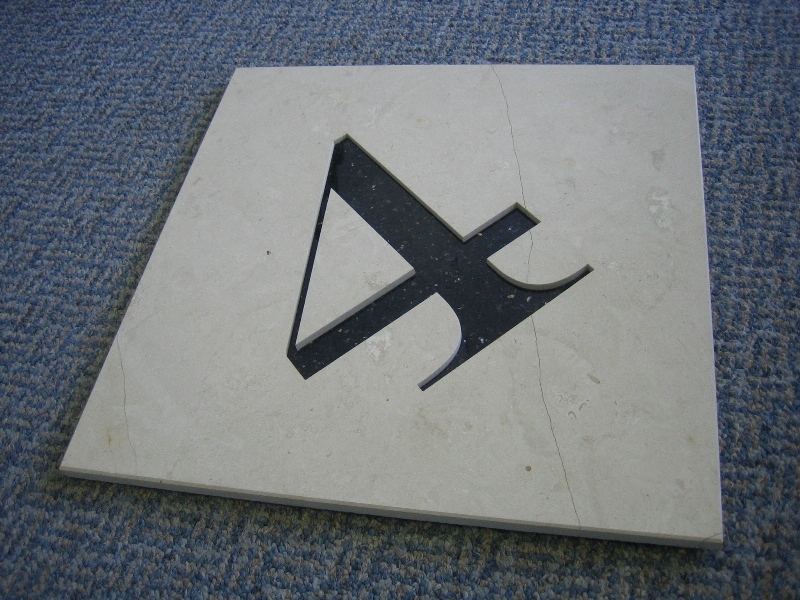 Programming is faster and easier. 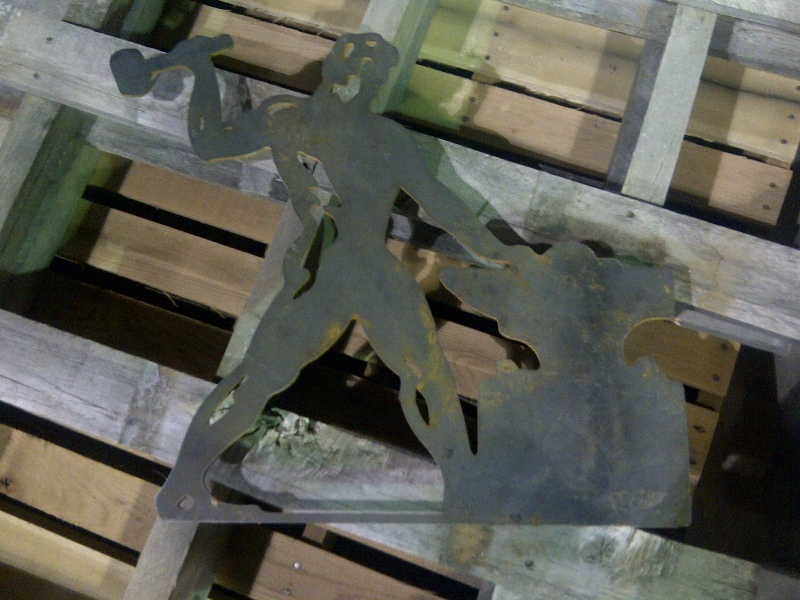 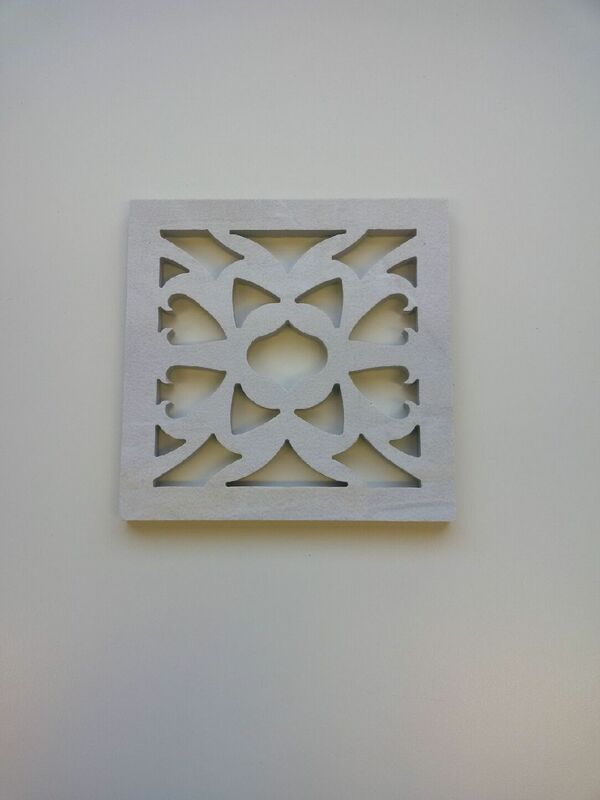 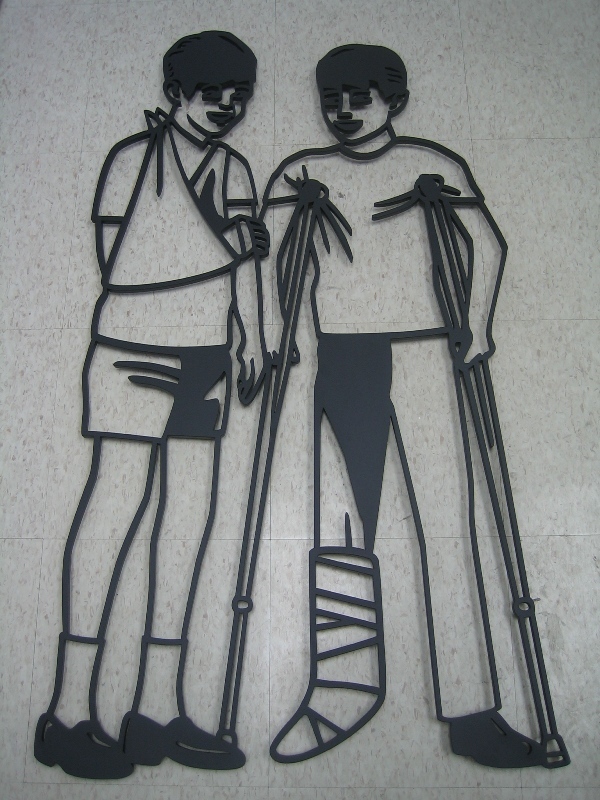 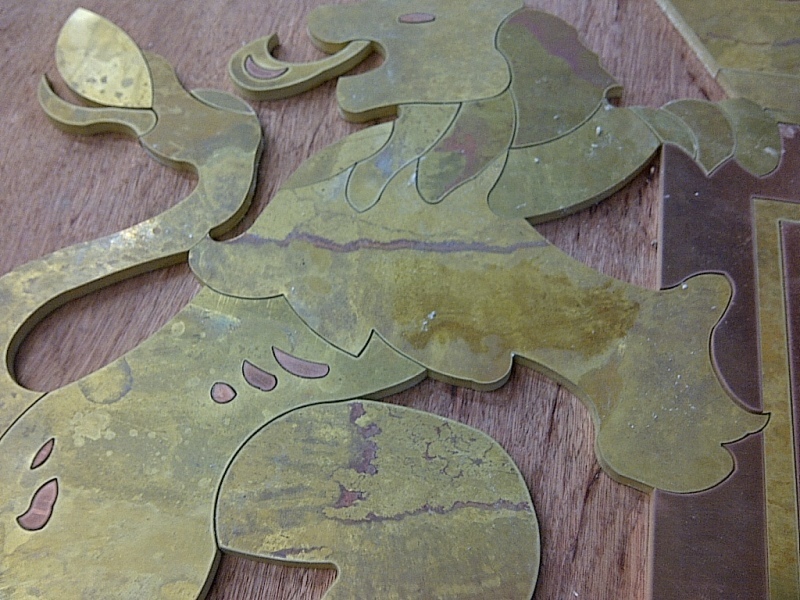 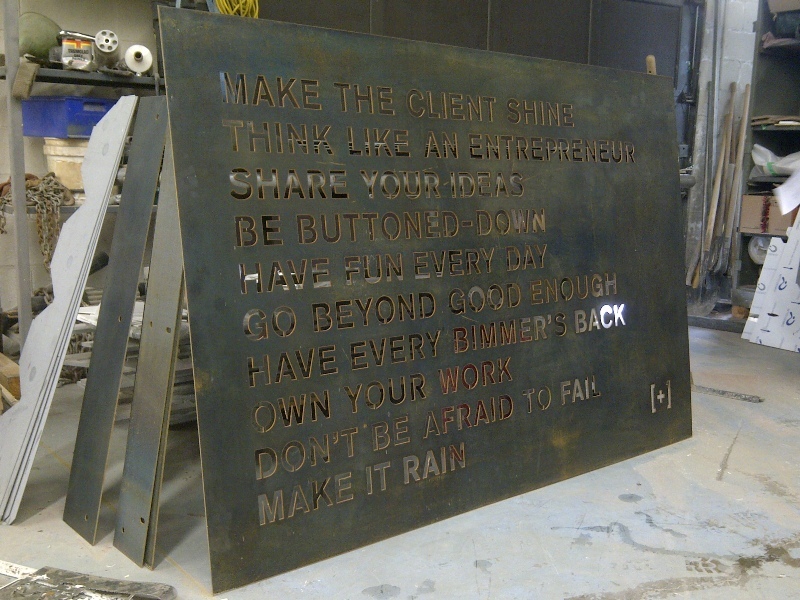 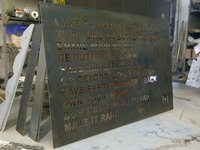 Less waste and scrap with a waterjet. Lower cost per piece for short runs. 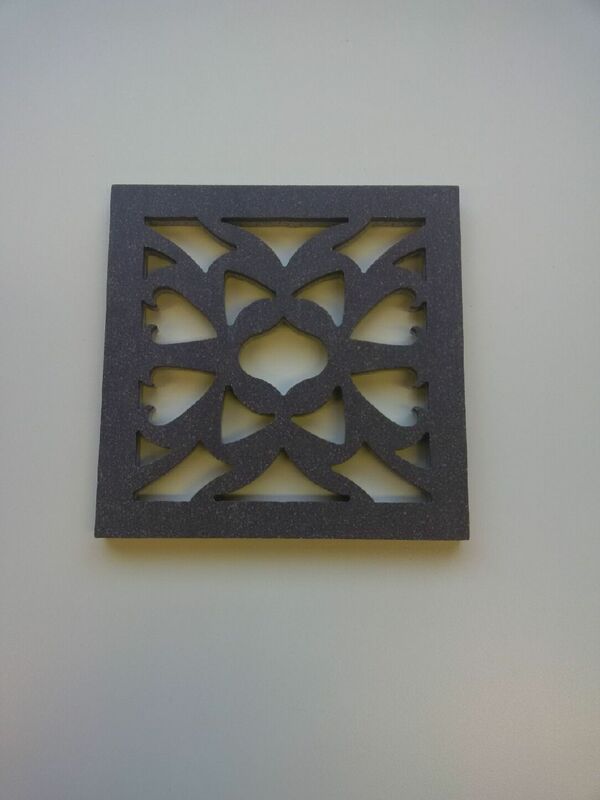 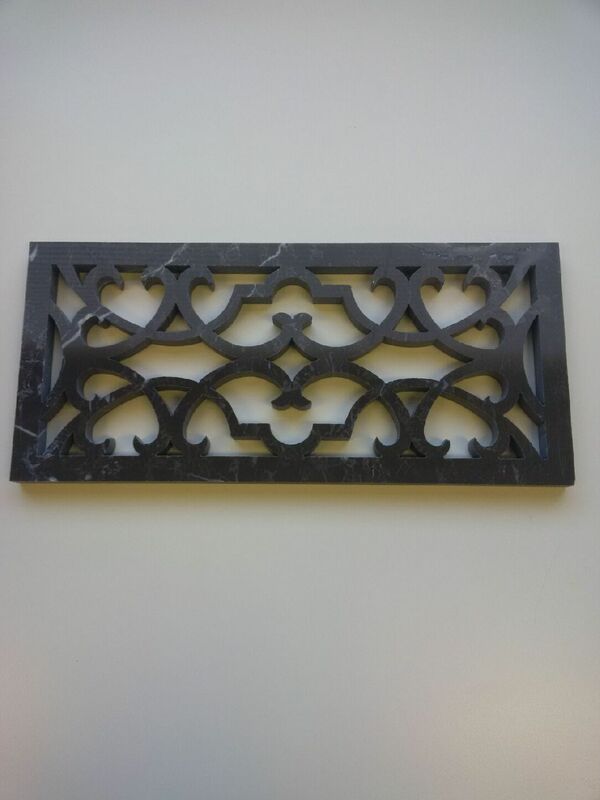 Cut holes closer to the materials edge with a waterjet. 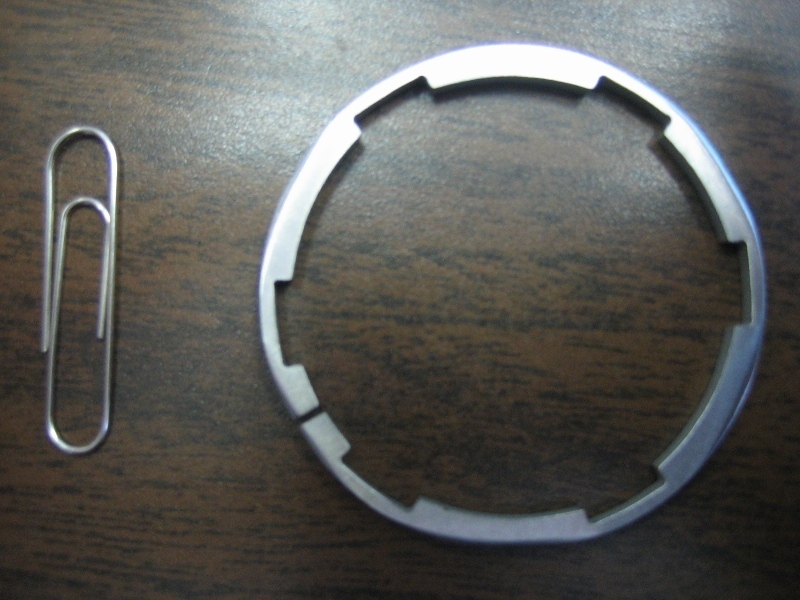 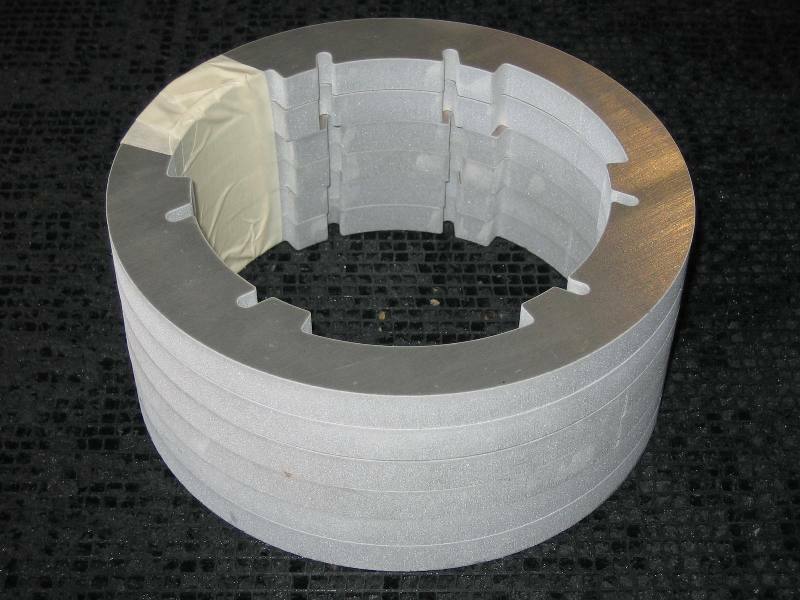 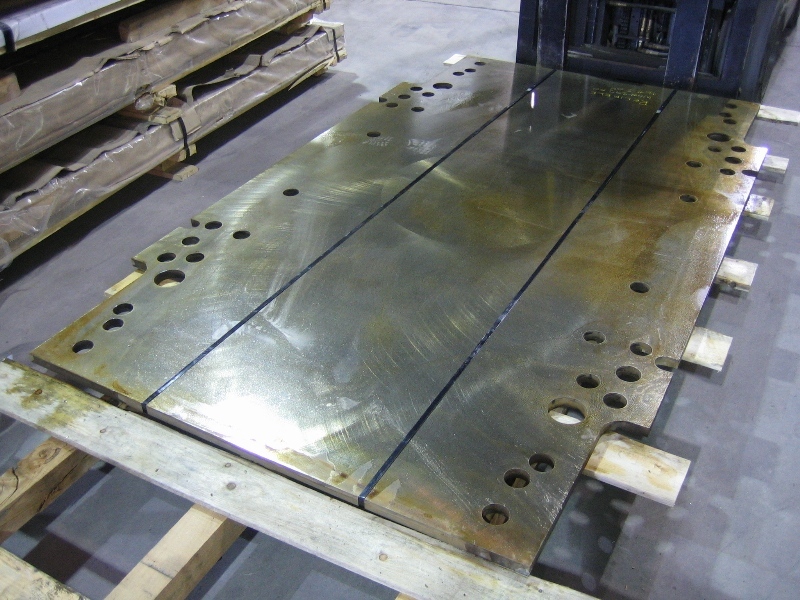 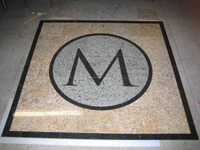 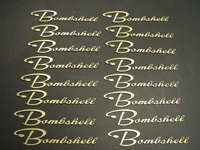 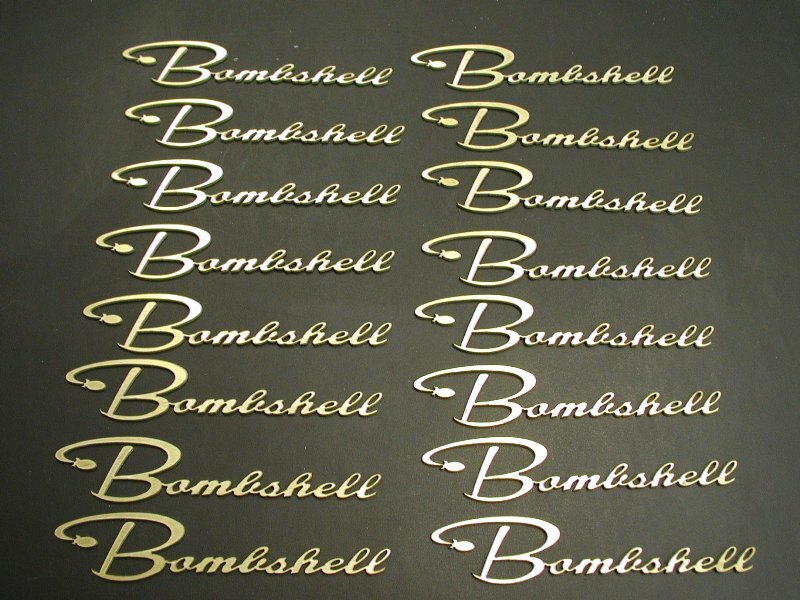 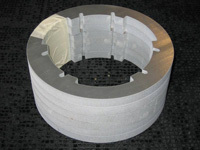 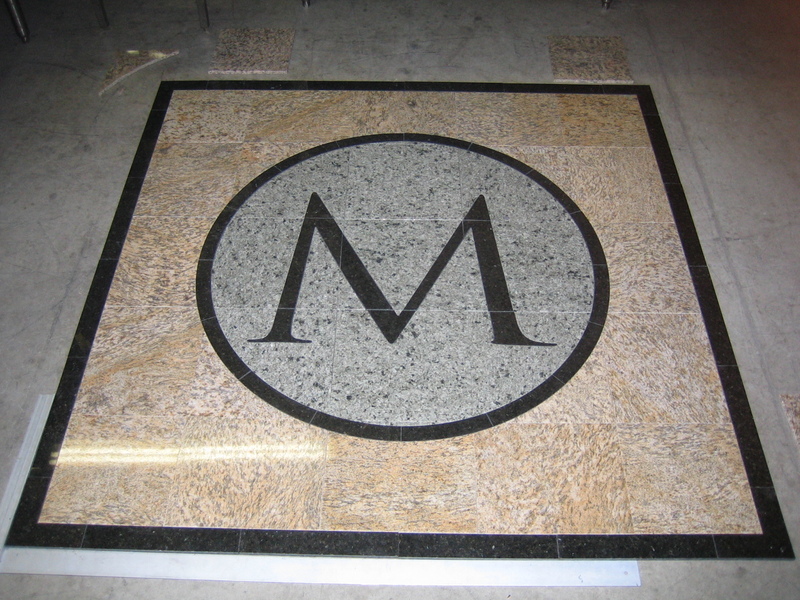 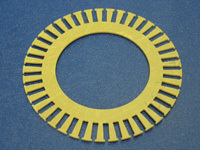 Thick, brittle or hard materials cannot be cut by punch press.